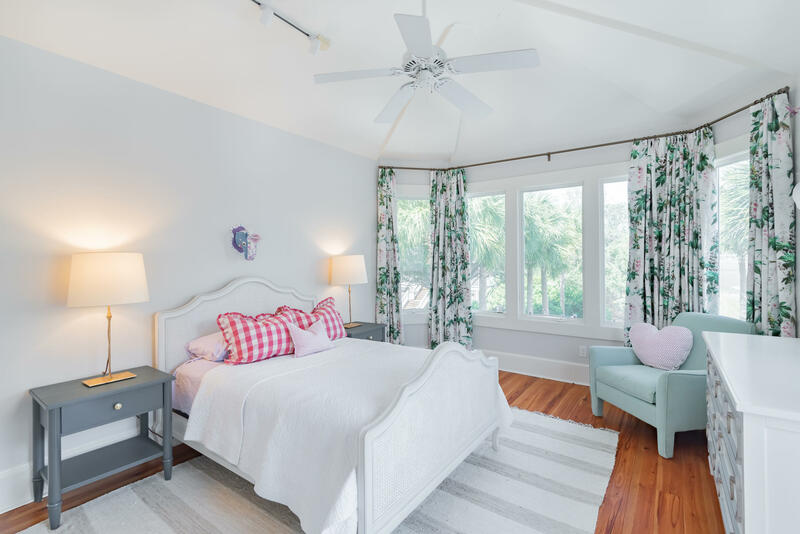 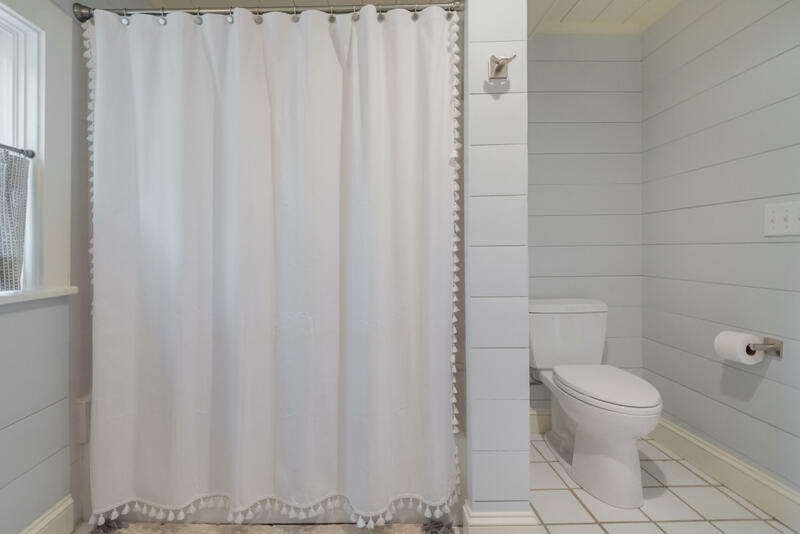 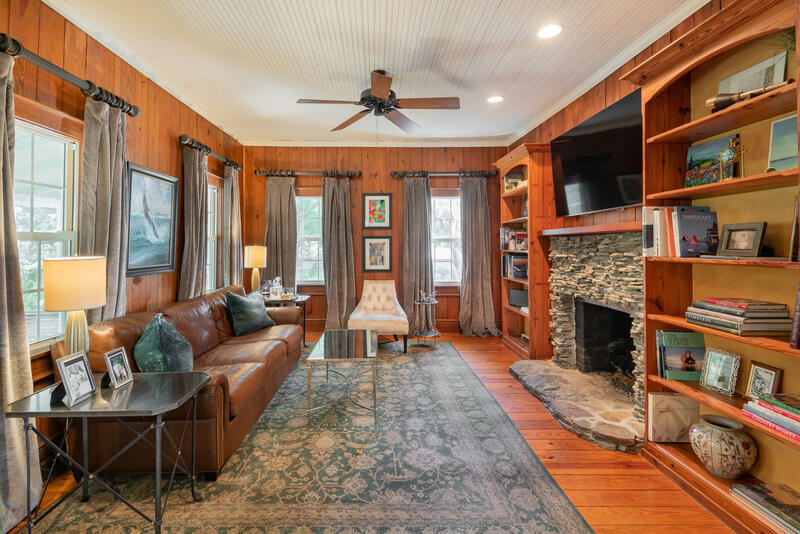 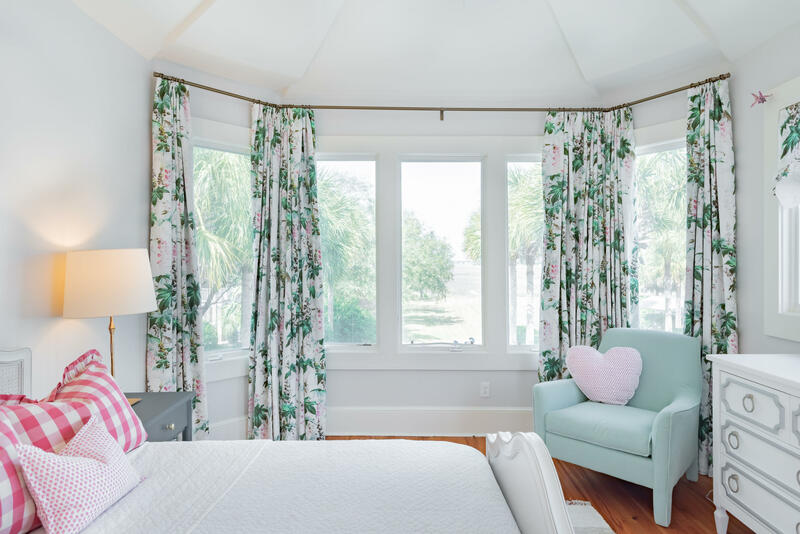 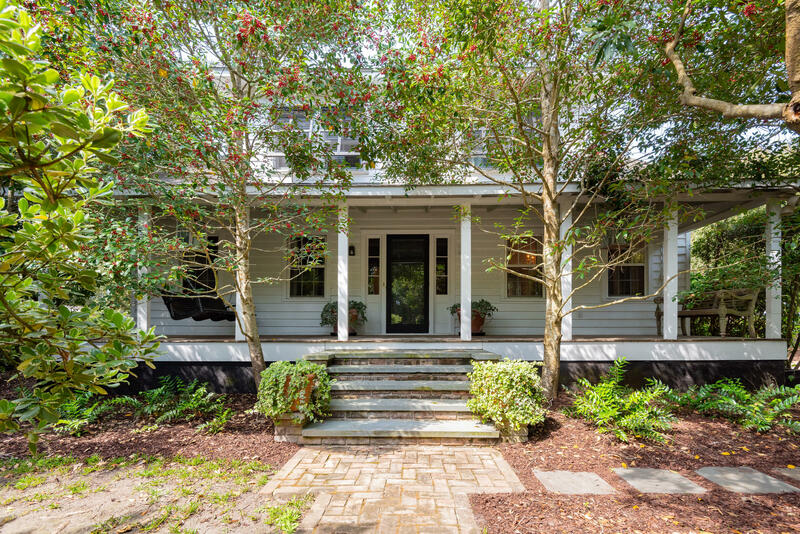 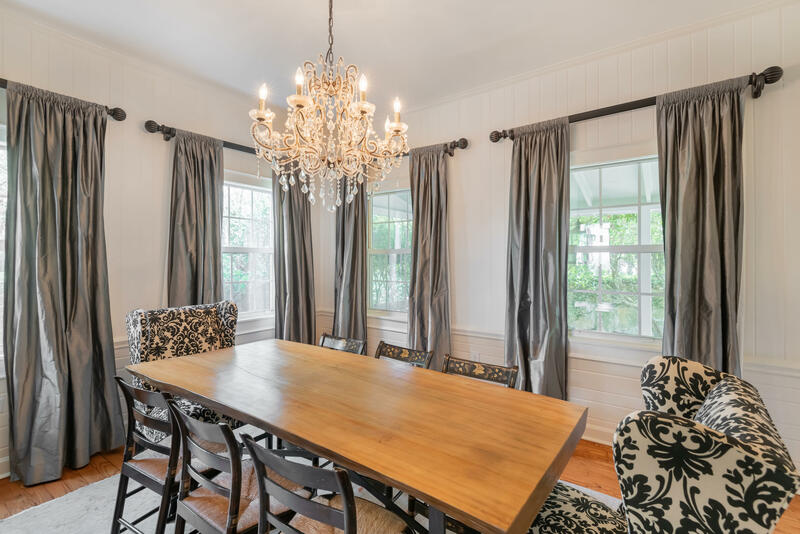 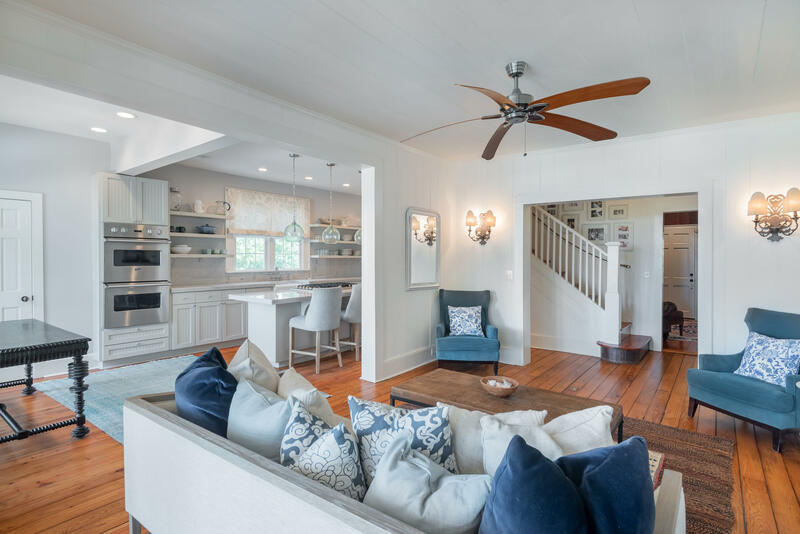 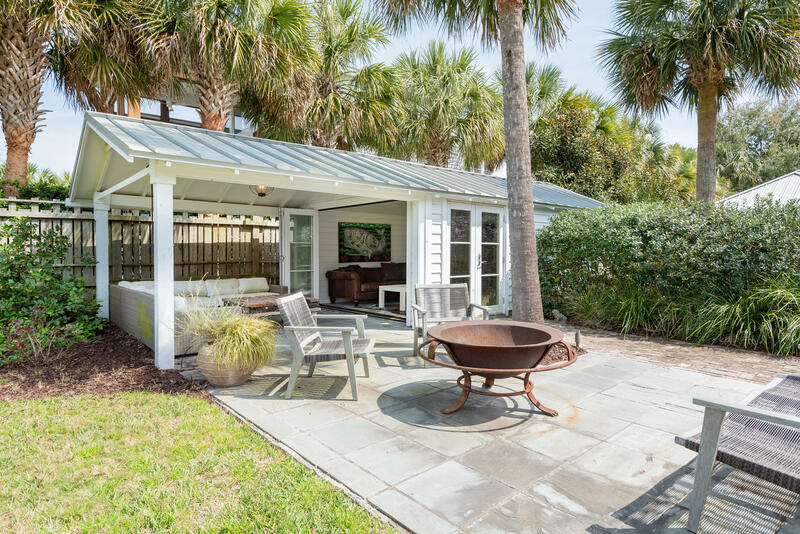 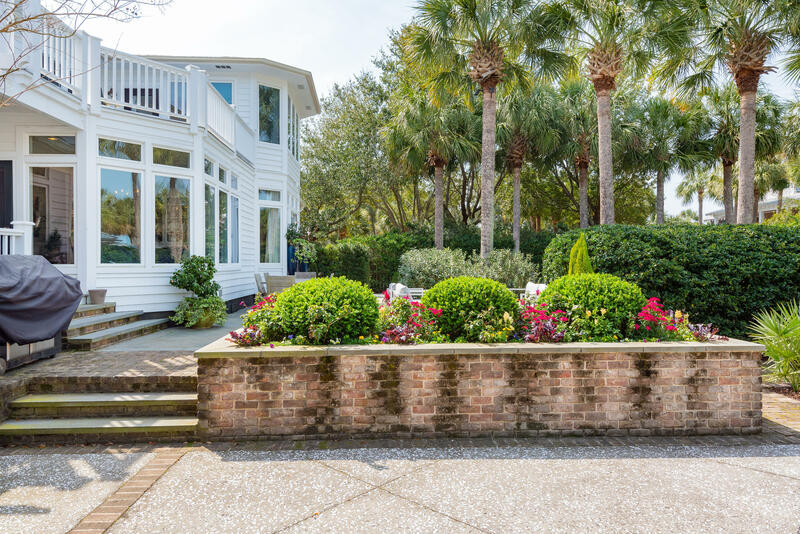 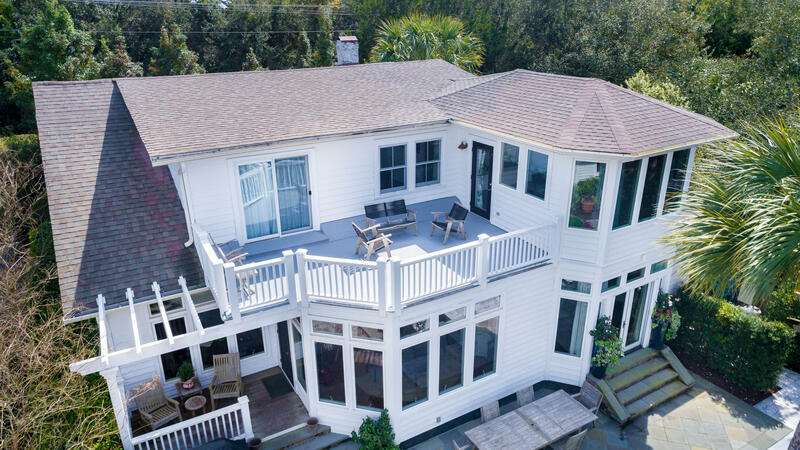 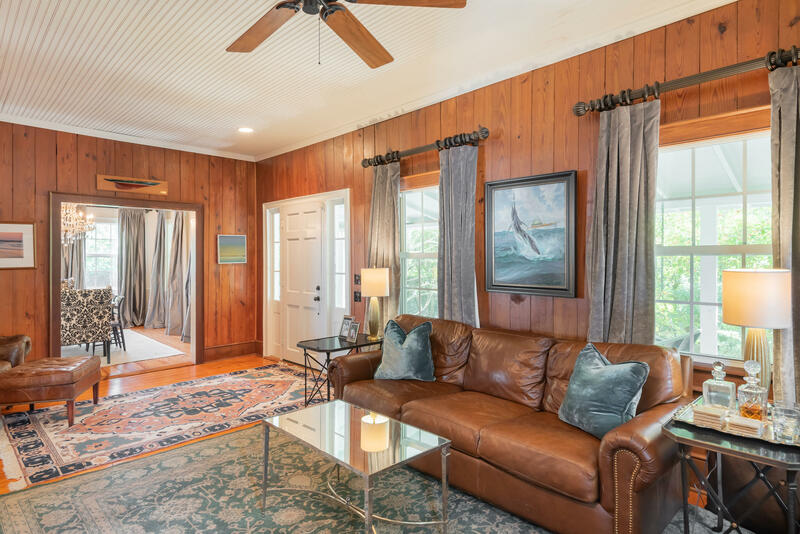 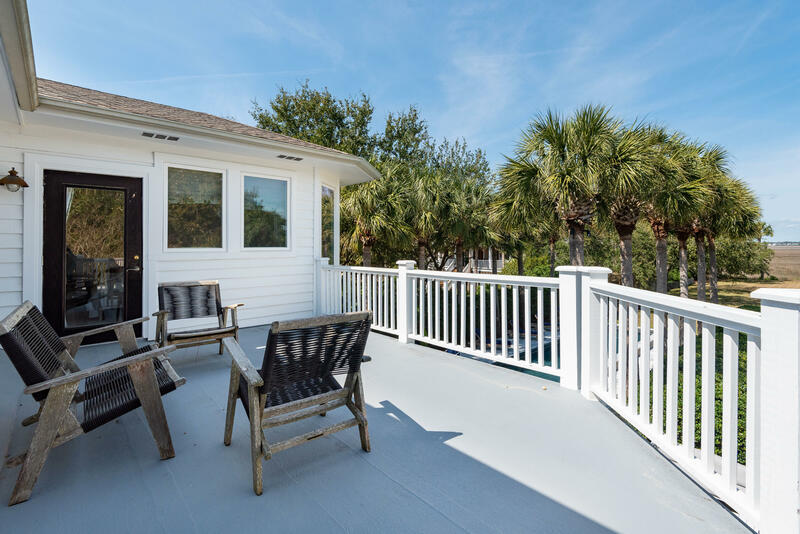 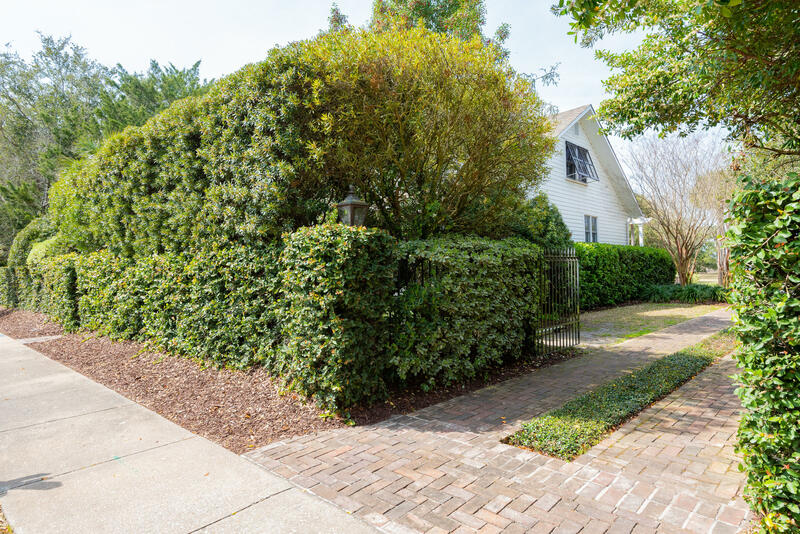 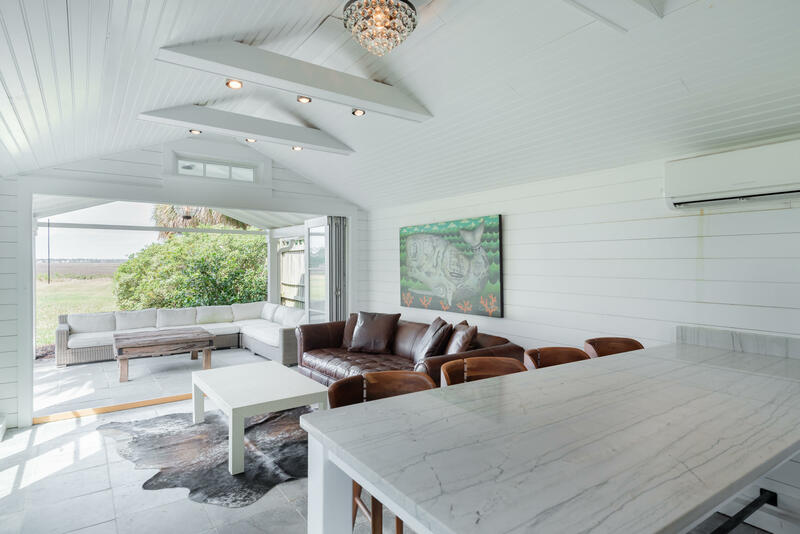 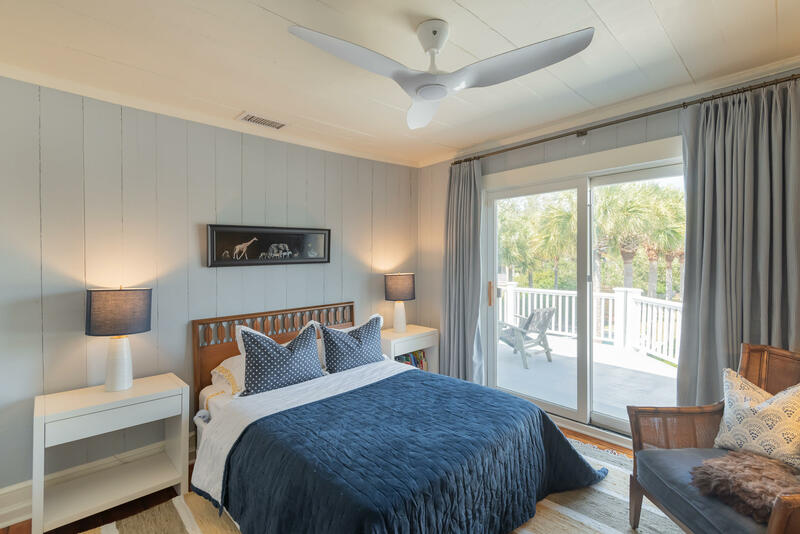 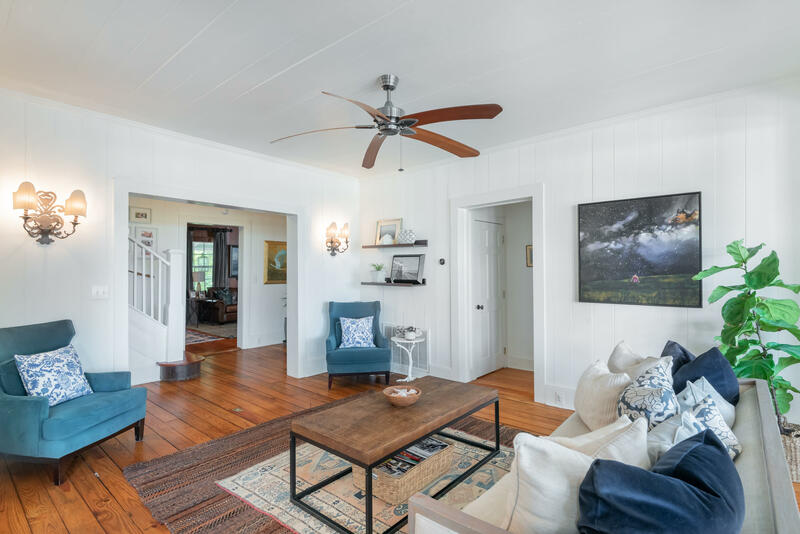 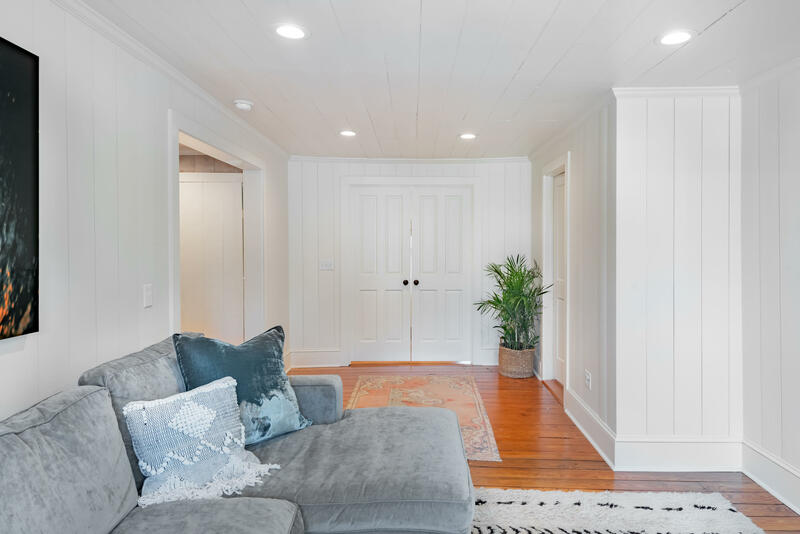 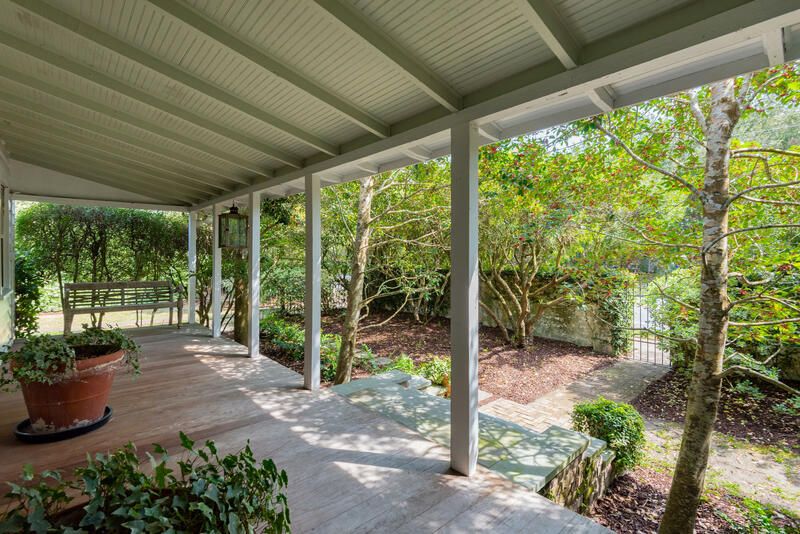 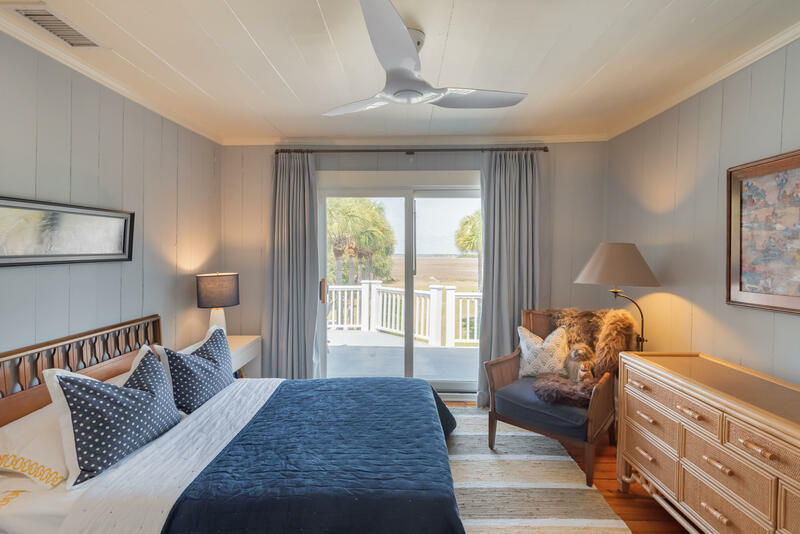 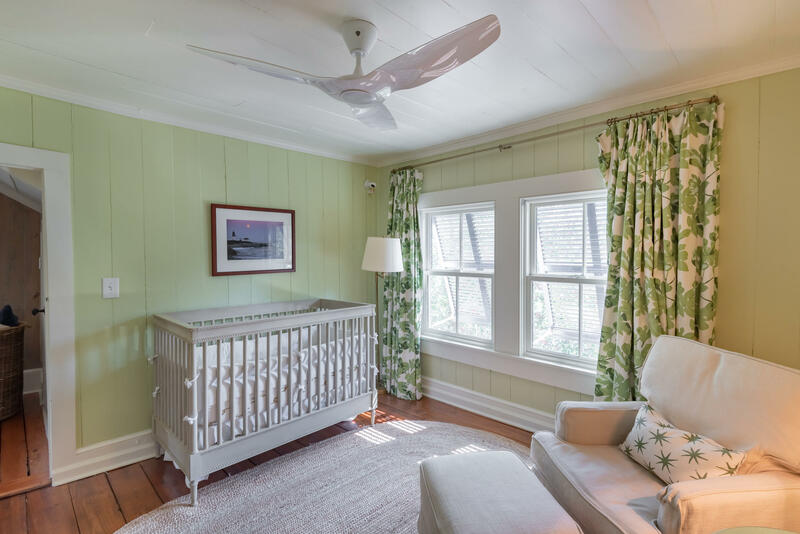 2824 Jasper Blvd is a classic 1920s Sullivans Island cottage that has been beautifully restored. 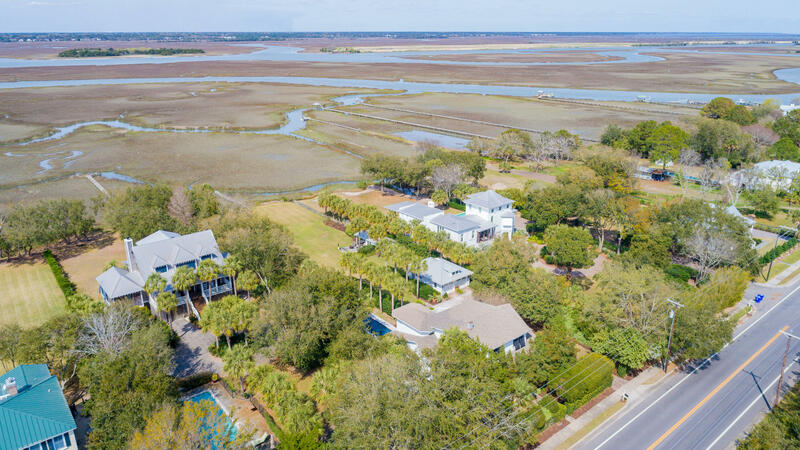 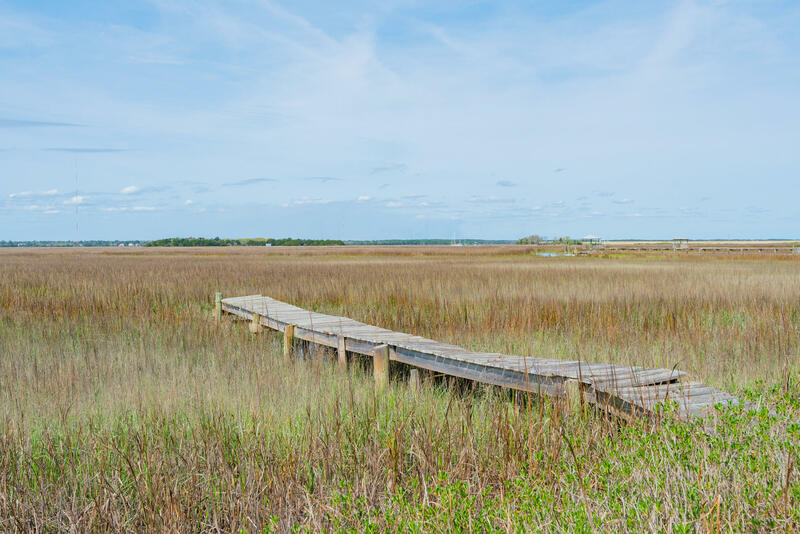 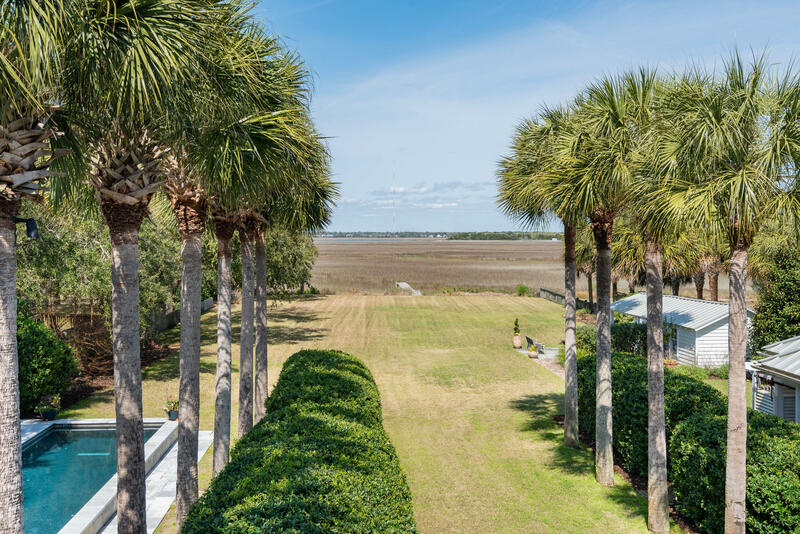 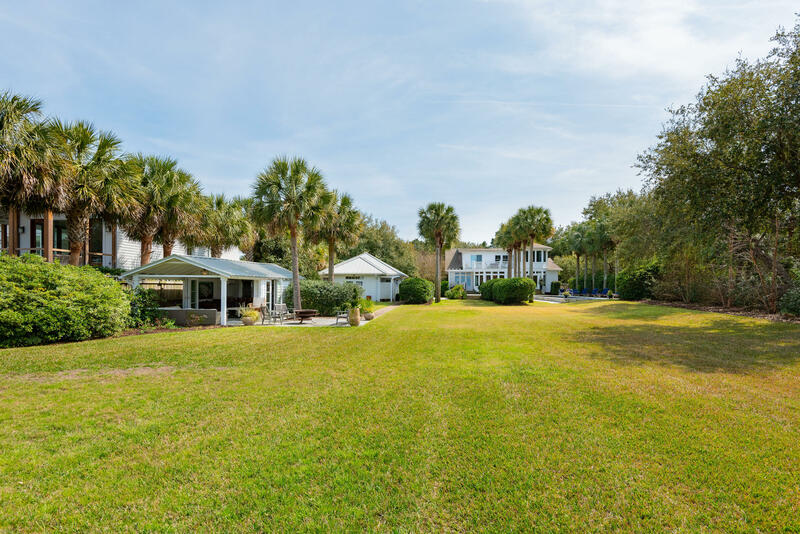 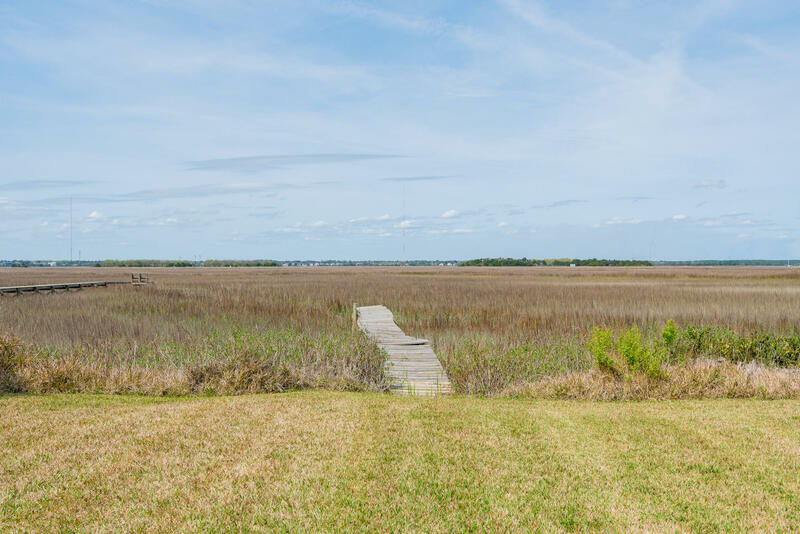 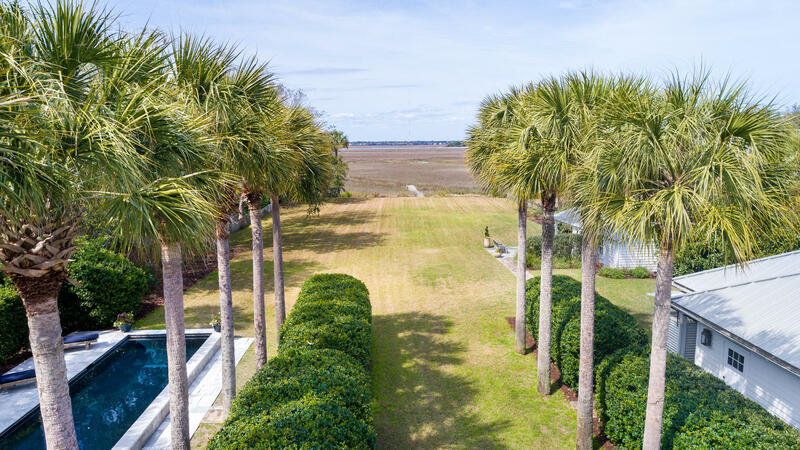 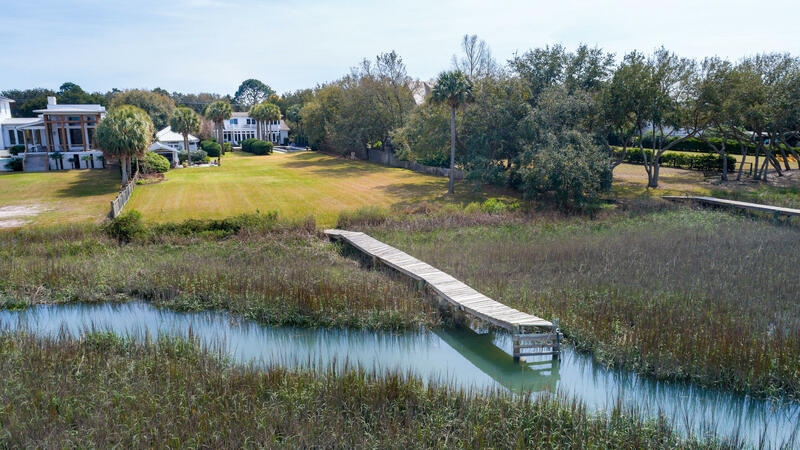 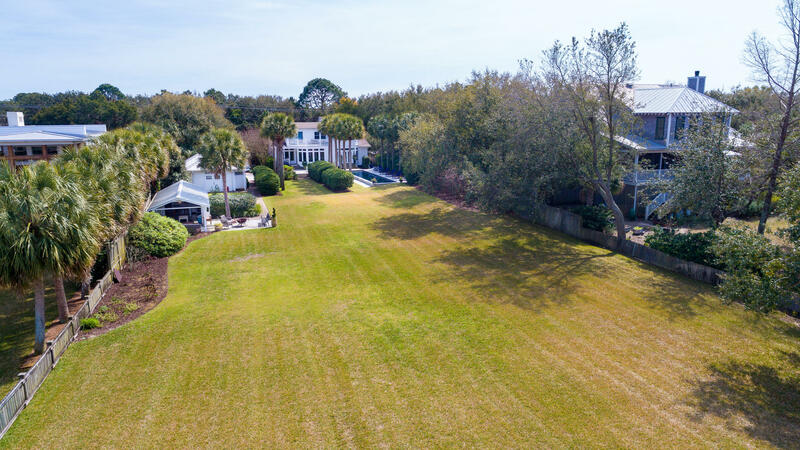 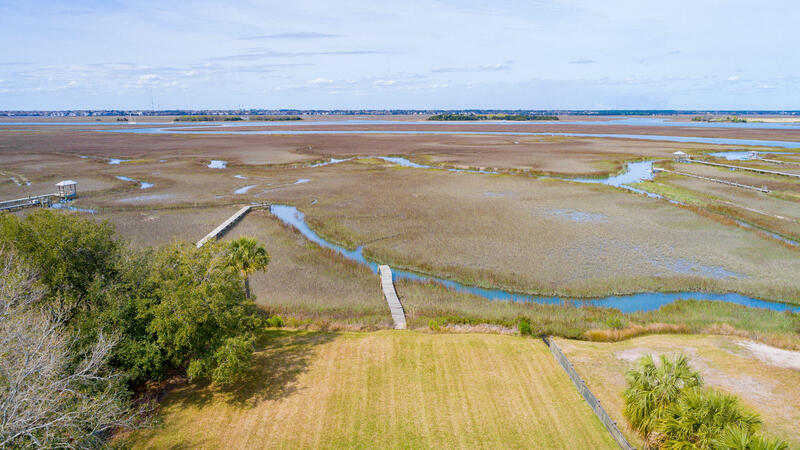 A rare find on the island, It is located on an extremely private marsh front lot that is just shy of an acre and is one of just a handful of properties this size on the island. 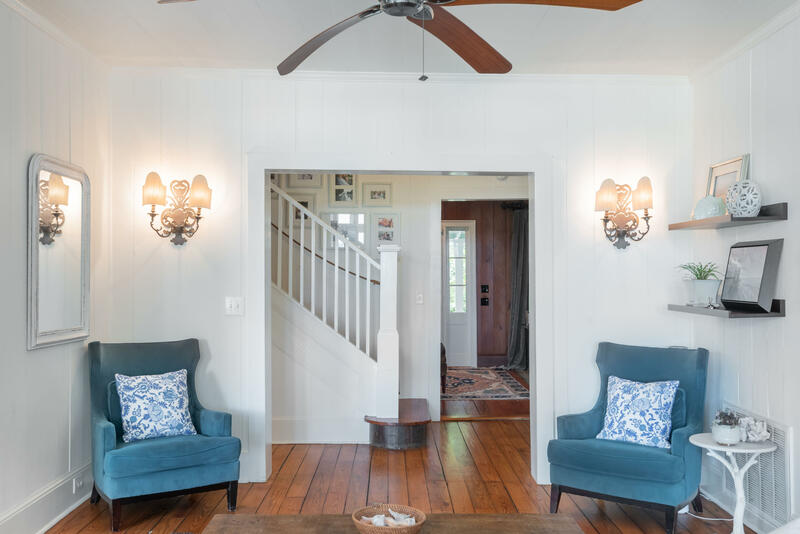 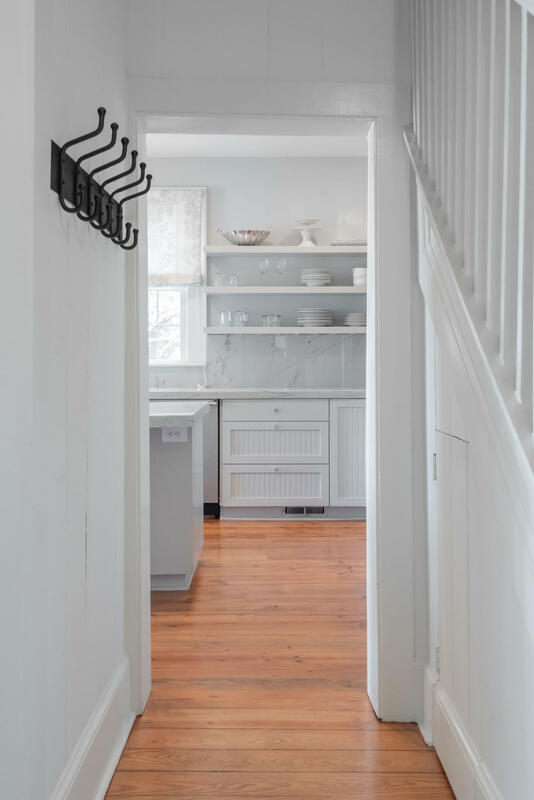 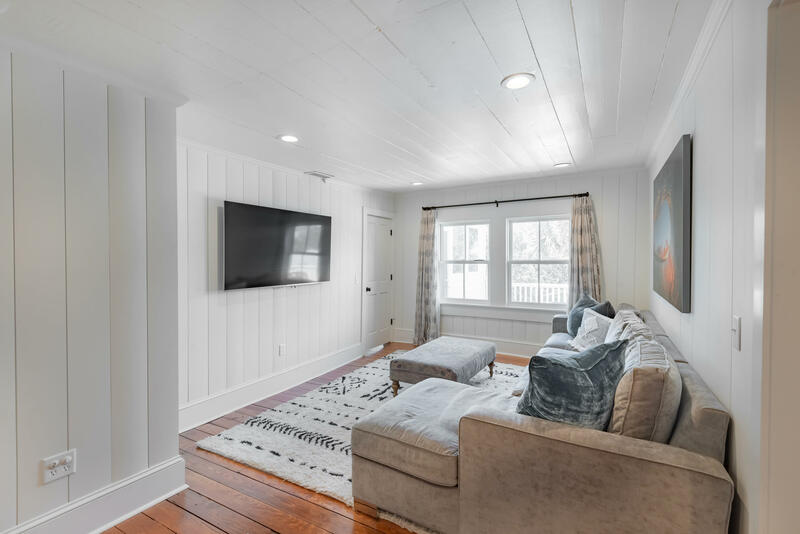 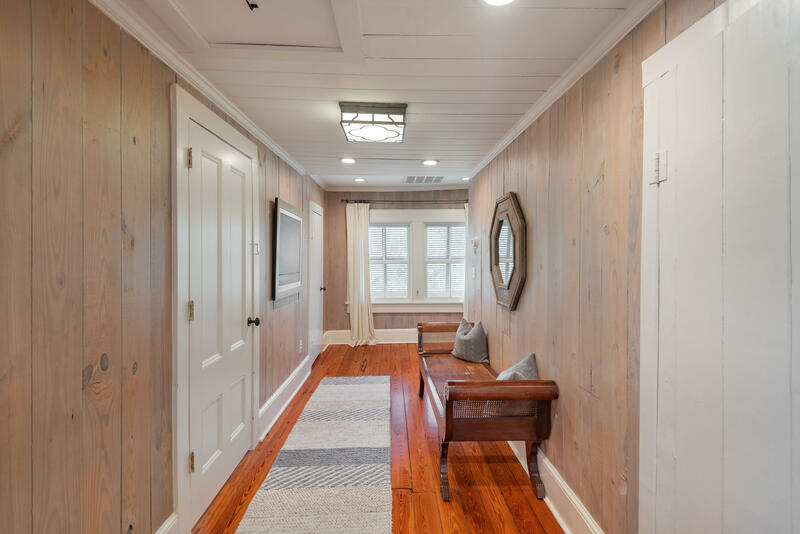 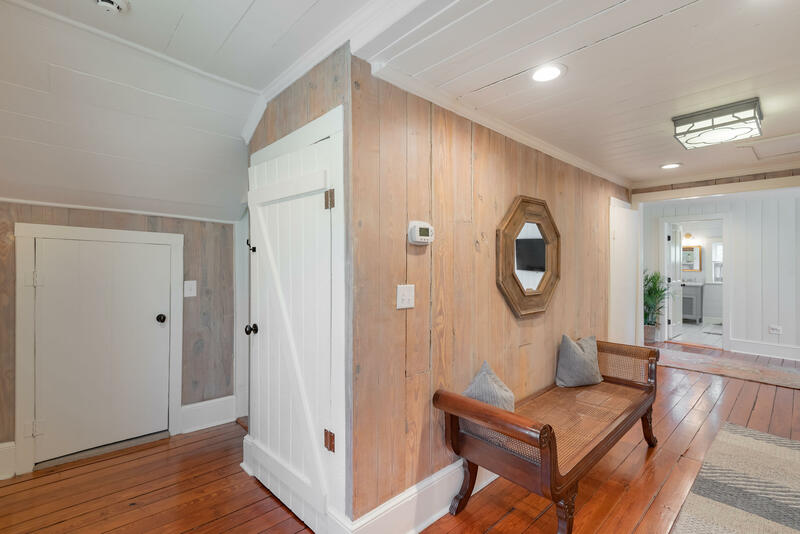 The wood walls and ceilings throughout the original home have been painstakingly restored to maintain the authentic charm. 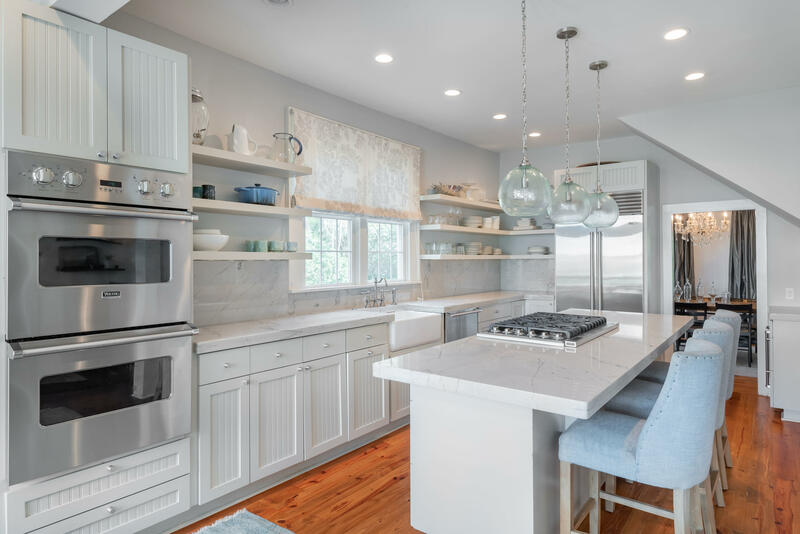 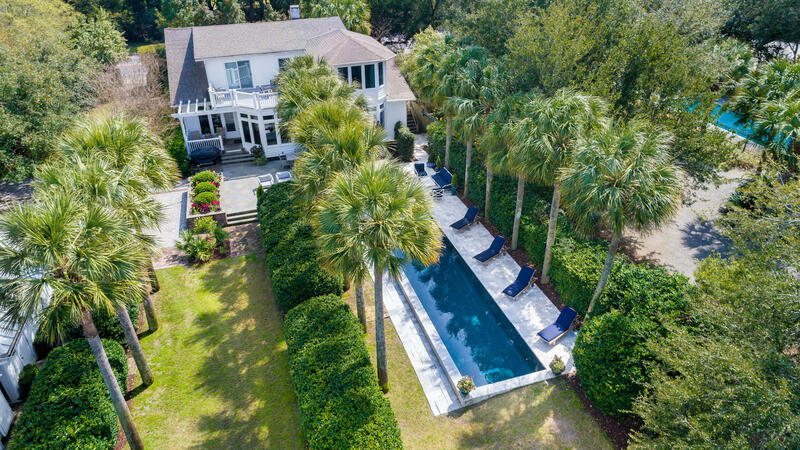 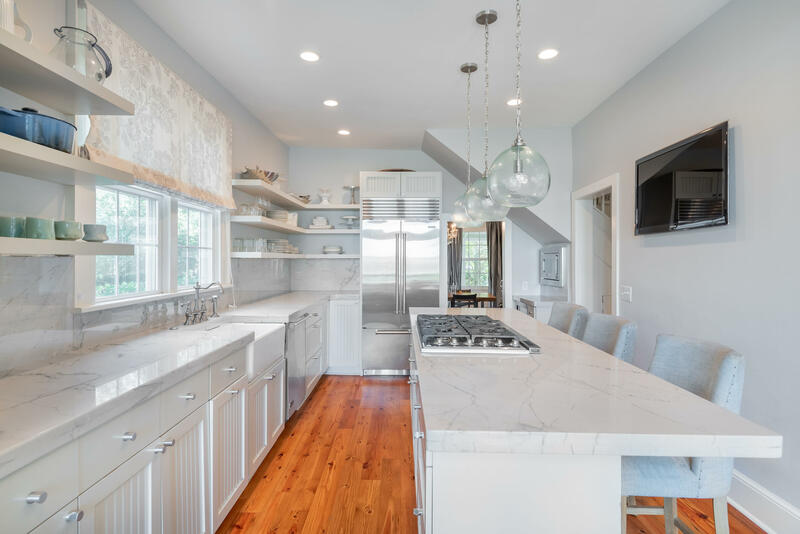 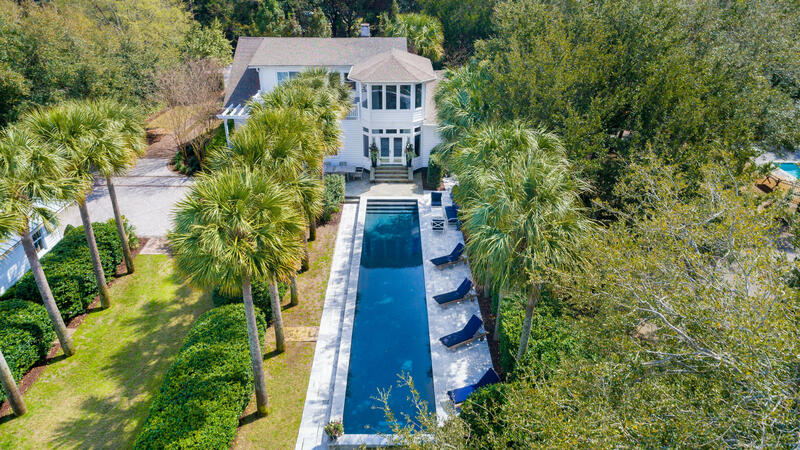 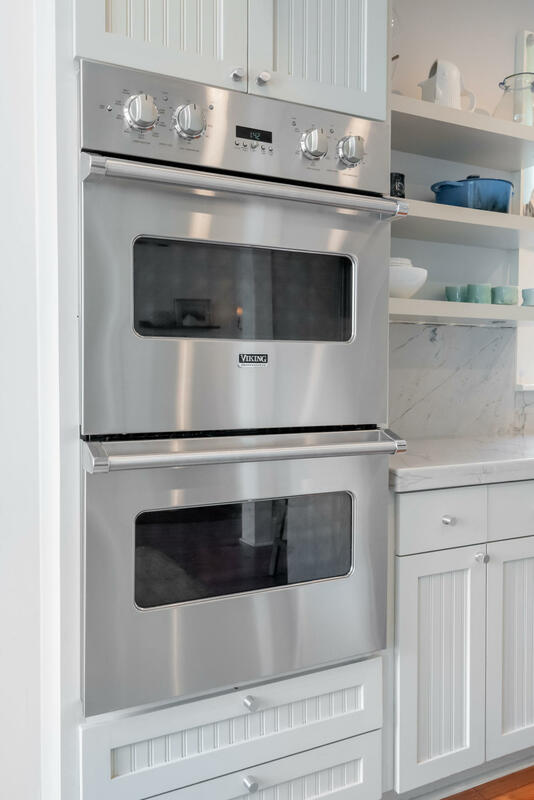 This home is the ideal blend between modern luxury and a classic Sullivans Island cottage.The gourmet chef's kitchen with custom cabinetry is the definition of luxury with quartzite counters, sub-zero fridge, sub zero beverage center, 6 burner viking stove and double viking wall oven. 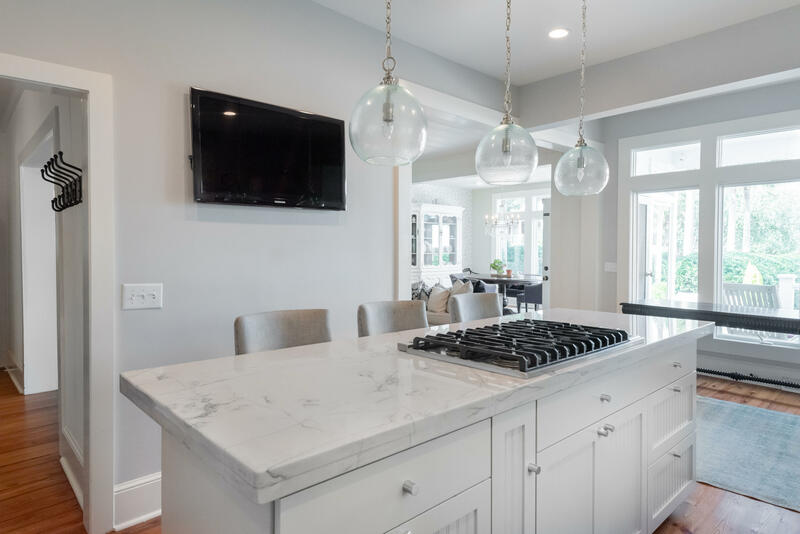 There is a large center island with counter seating. 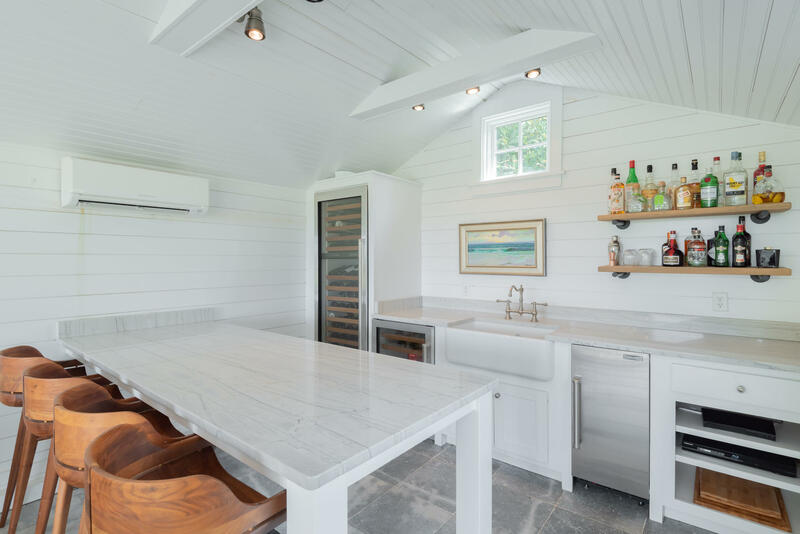 Enjoy the picturesque views while cooking. 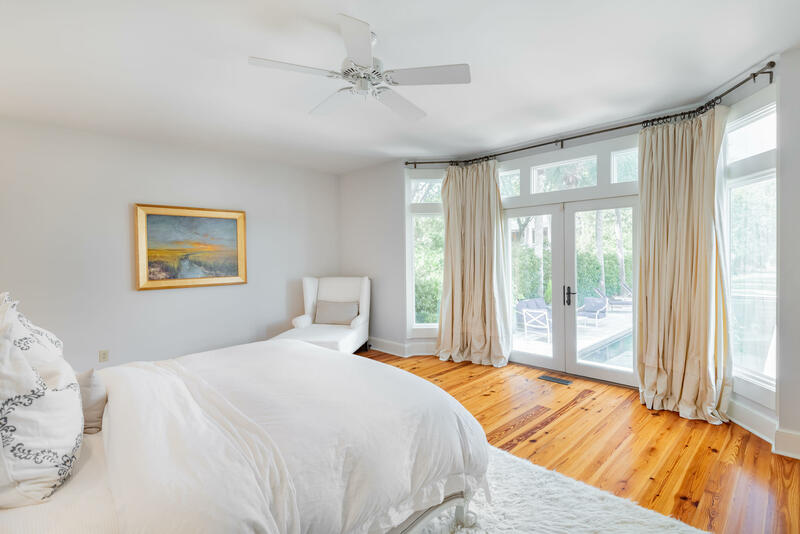 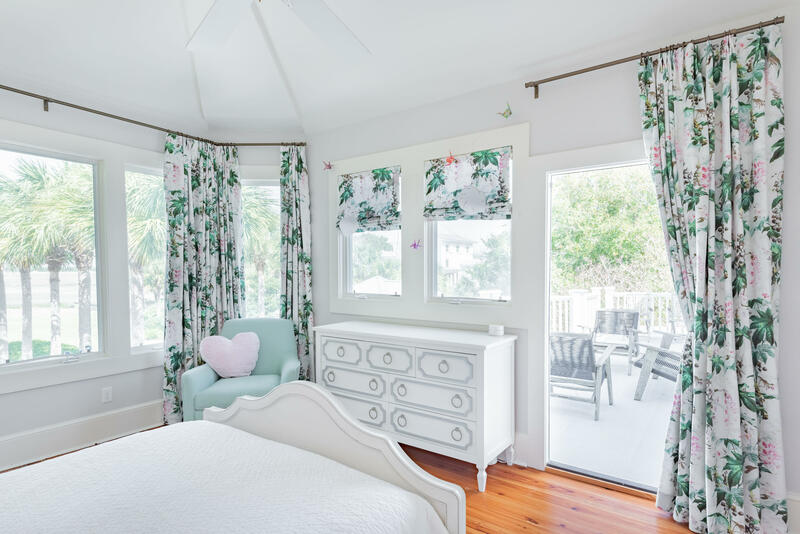 The large first floor master bedroom has french doors overlooking the pool and marsh. 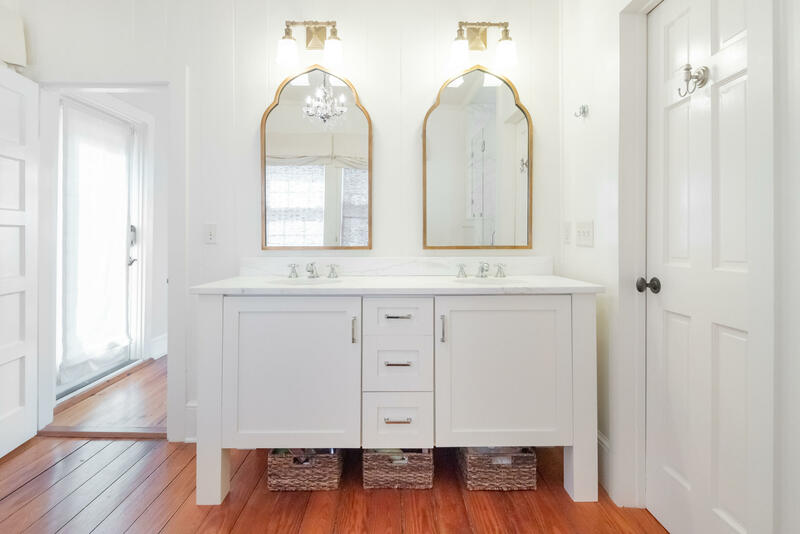 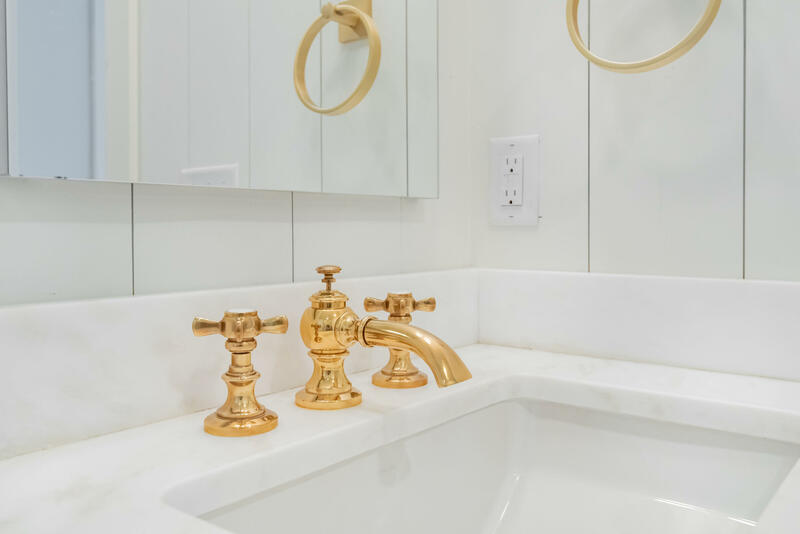 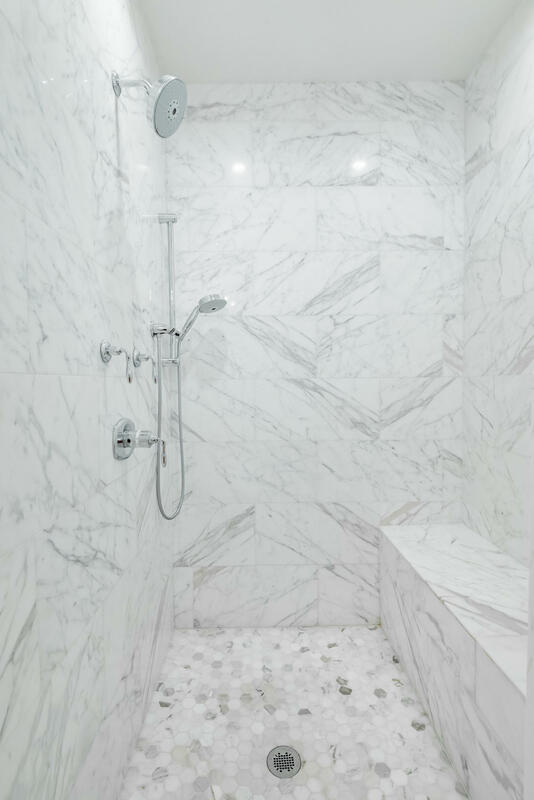 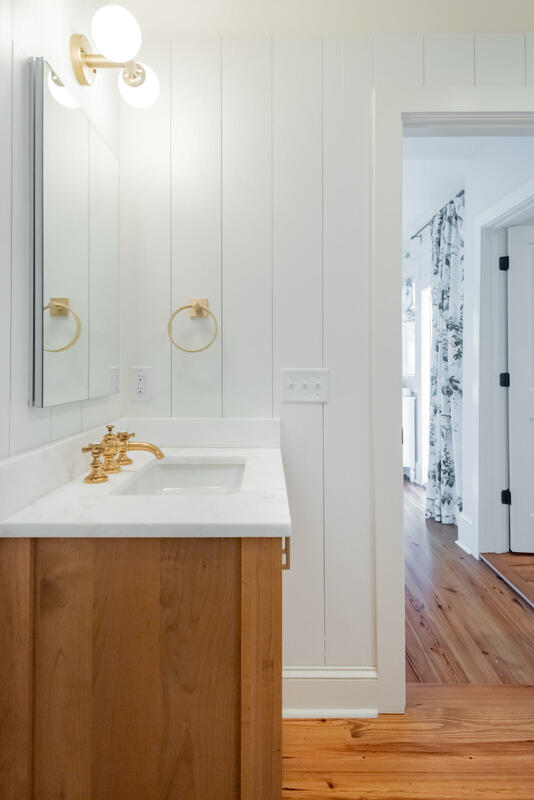 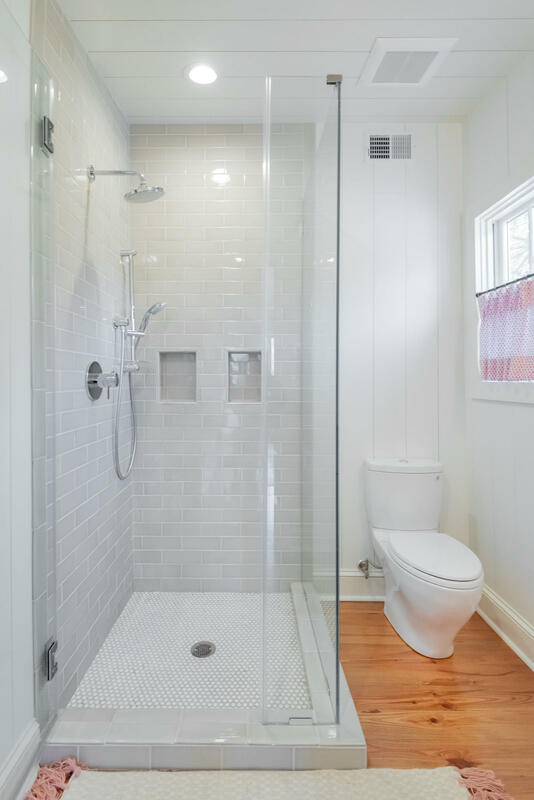 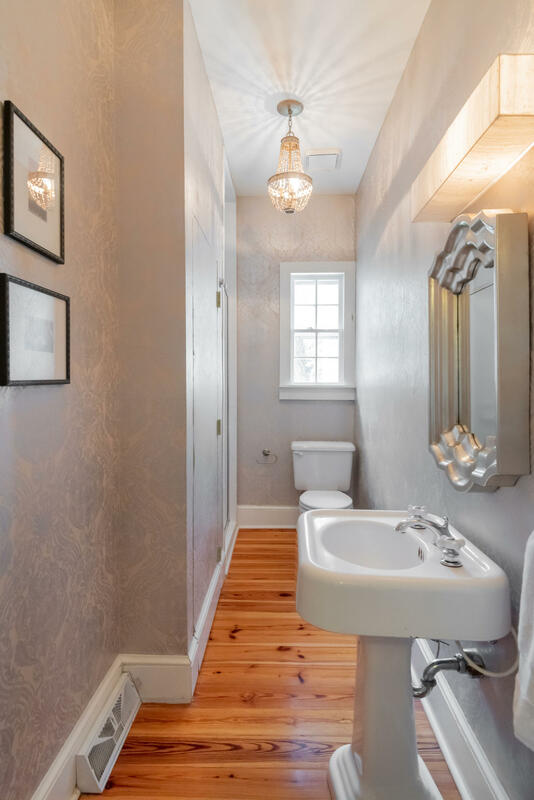 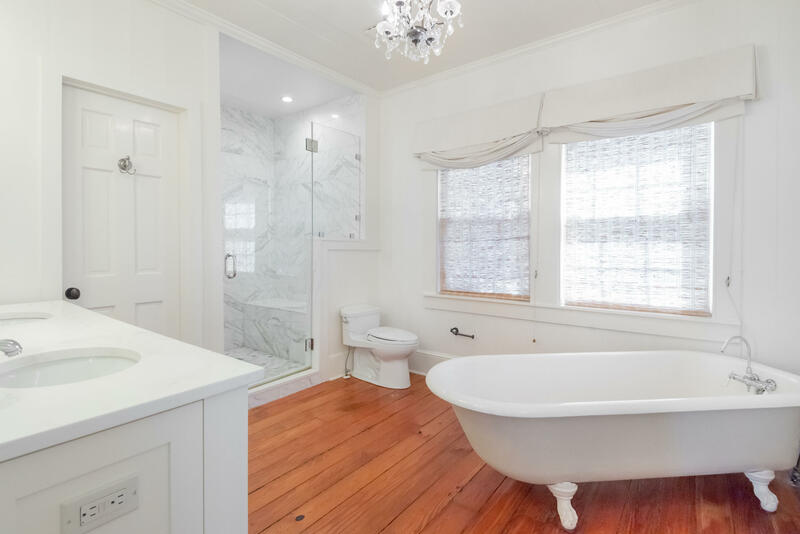 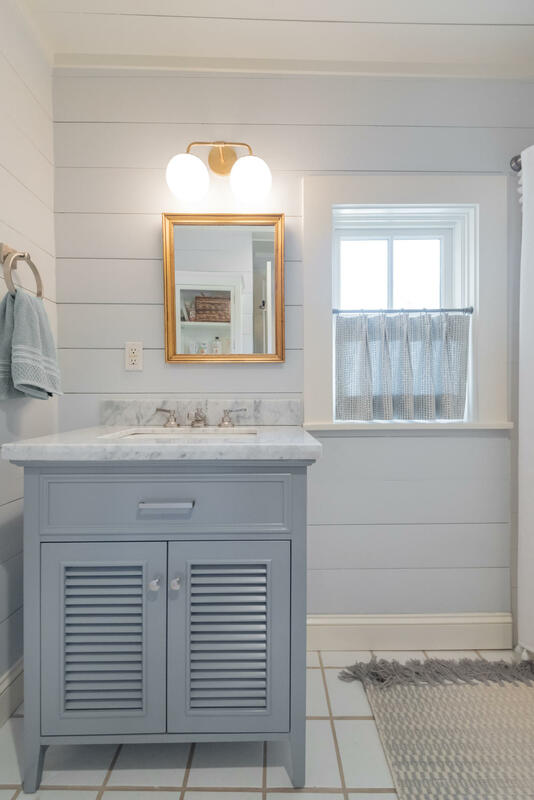 The master bath contains his/her closets, a custom double marble vanity, antique clawfoot tub as well as a luxurious Calcutta gold marble oversized shower. 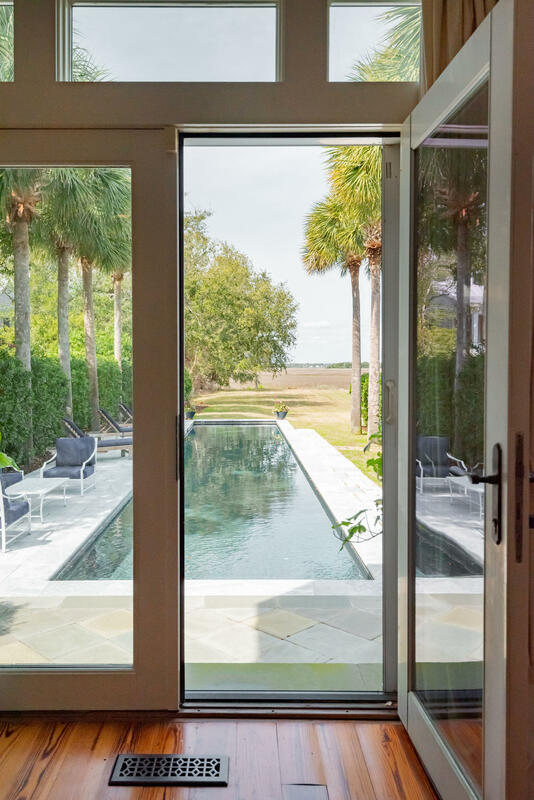 The breakfast room , family room all overlook the marsh and pool. 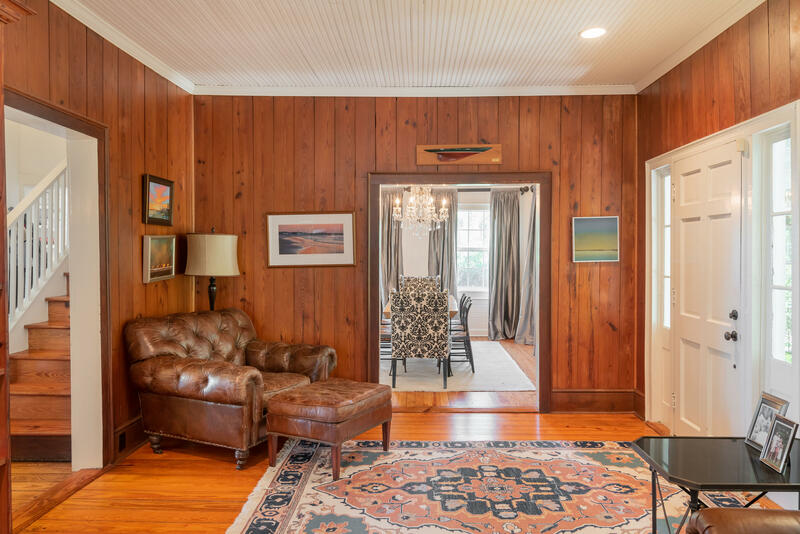 The large elegant living room with gas fireplace has original wood walls and a custom fieldstone gas fireplace. 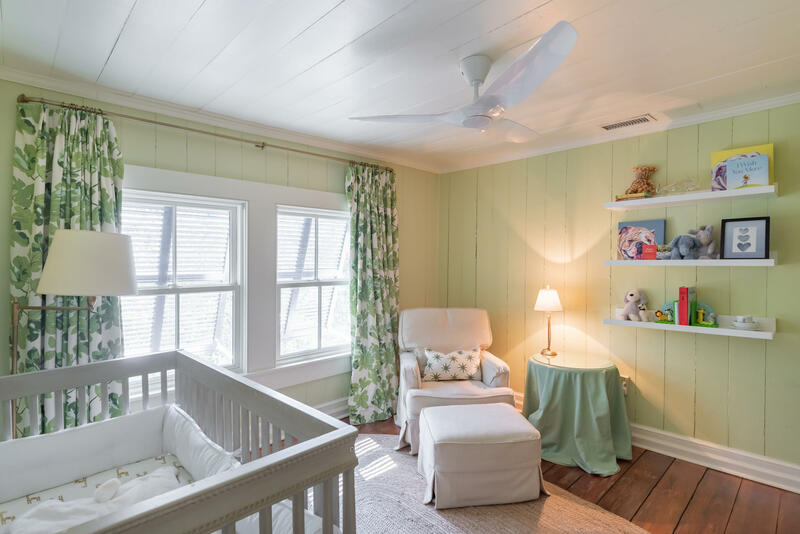 The second floor is perfect for guests/children to have their own spaces. 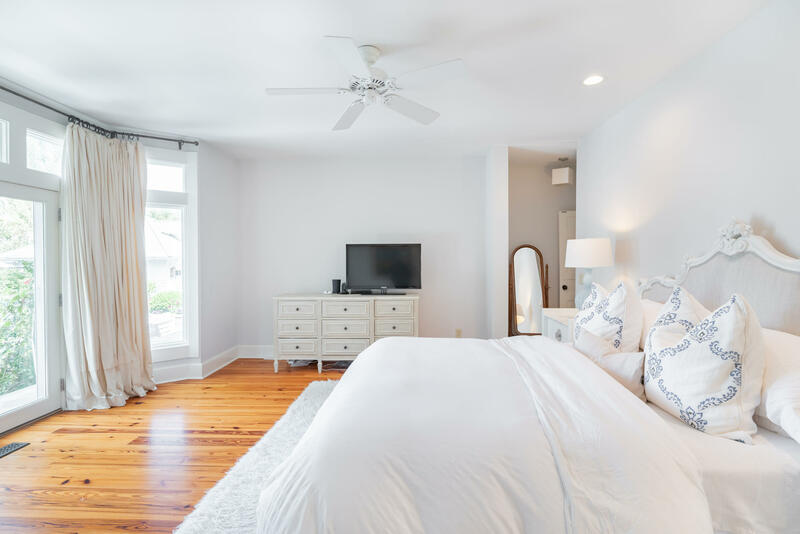 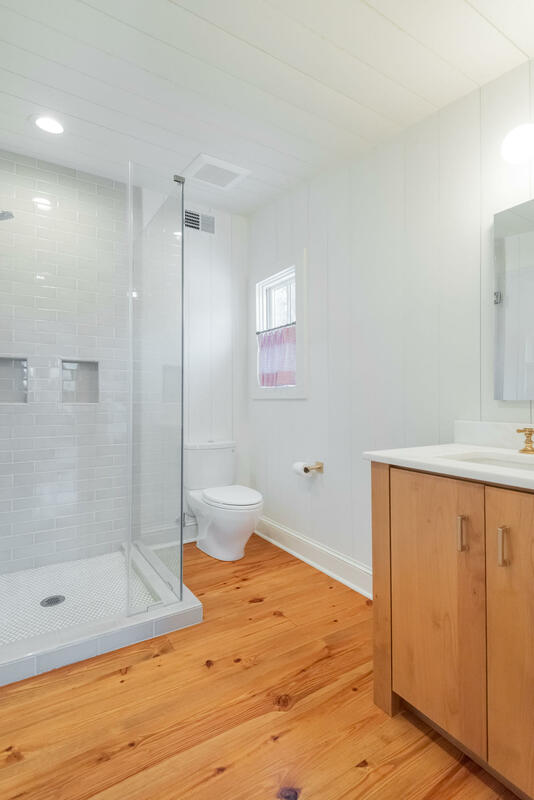 It features a second master suite and new bathroom well as 2 additional bedrooms with shared bathroom and large storage closet. 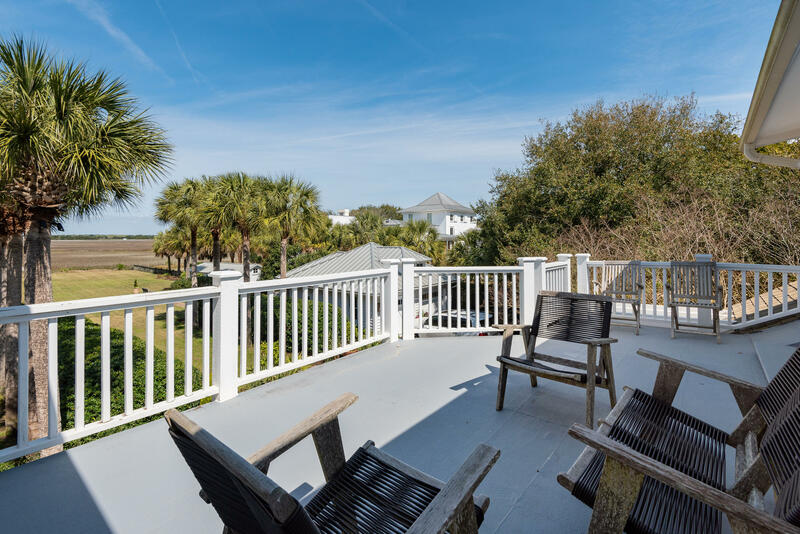 There is also a large shared living/open area that overlooks the marsh and a second story deck. 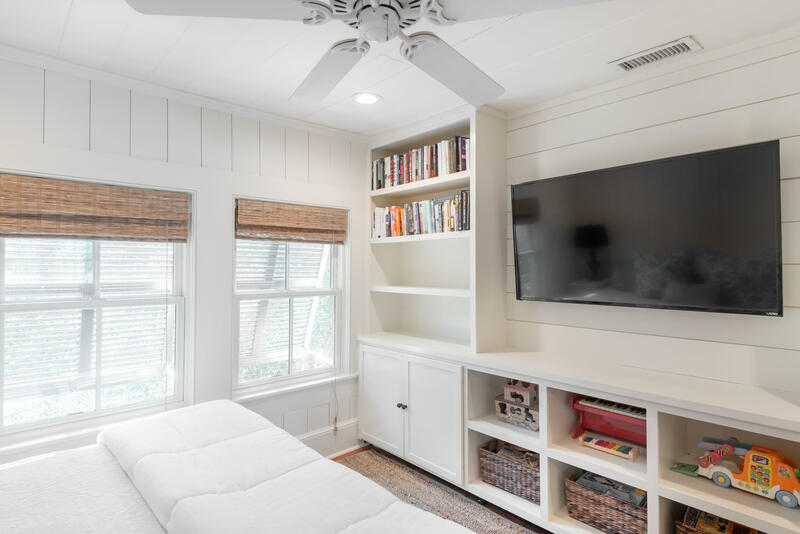 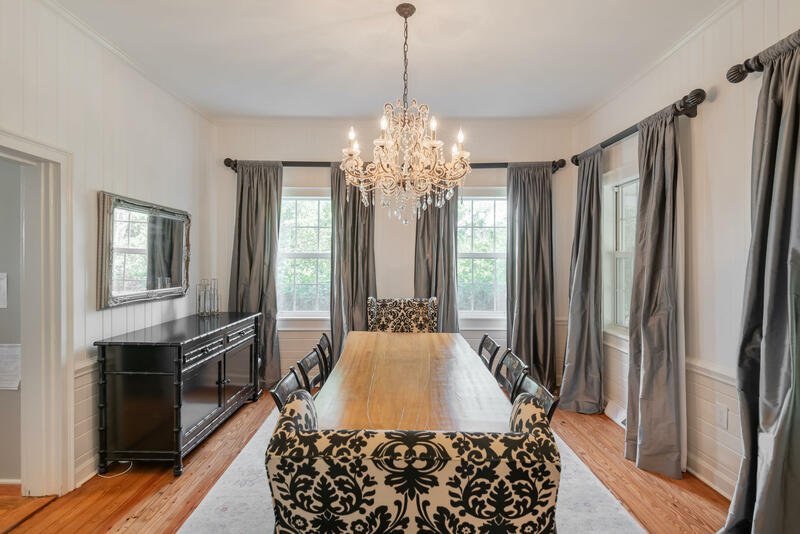 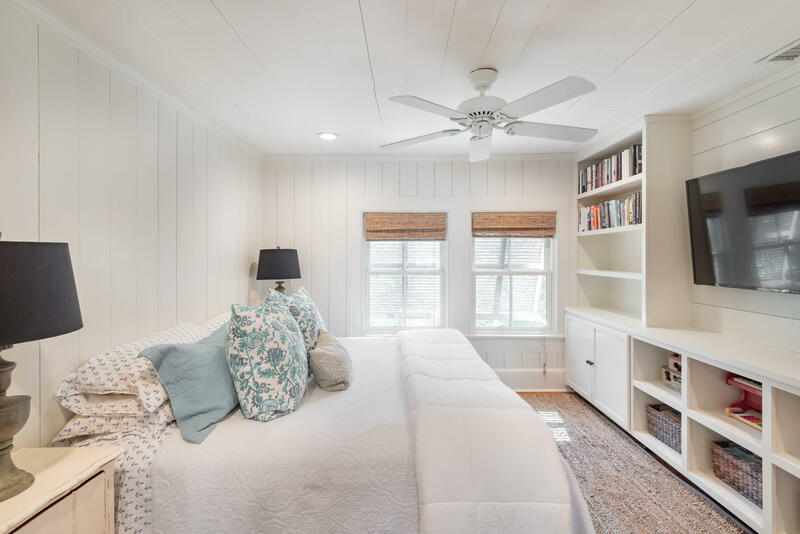 There is a flex room with french doors and custom bookcases that could be used as an additional 5th bedroom. 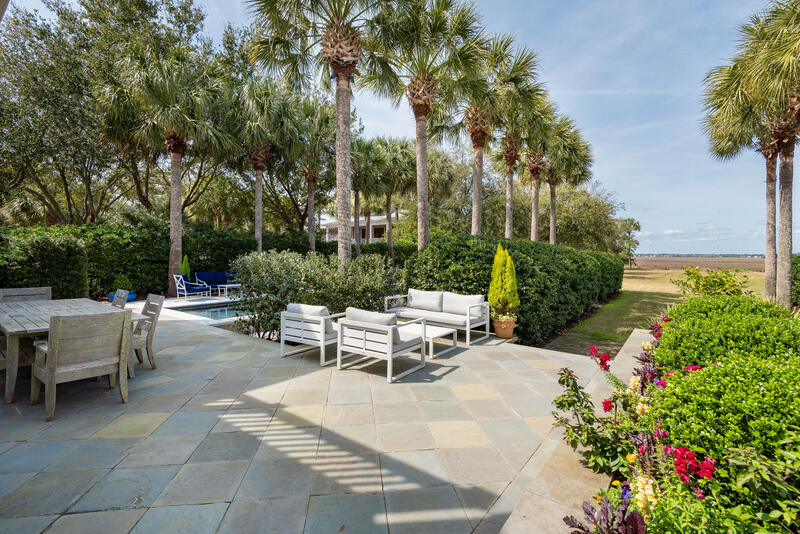 Sheila Wertimer designed yard with full irrigation and lighting by Moonlighting. 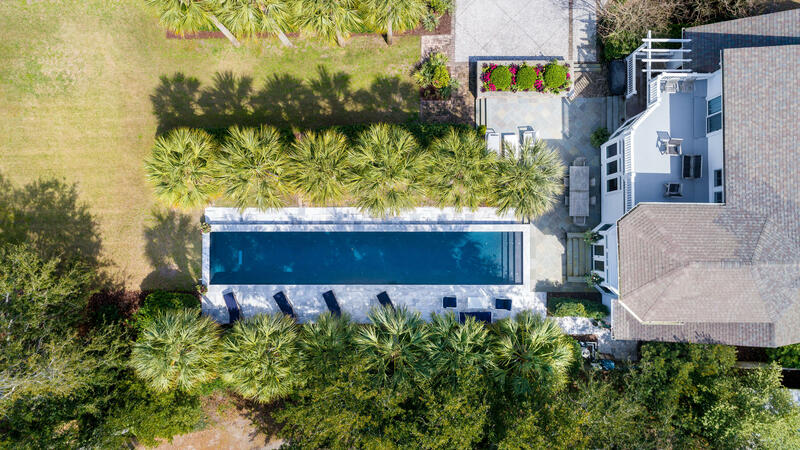 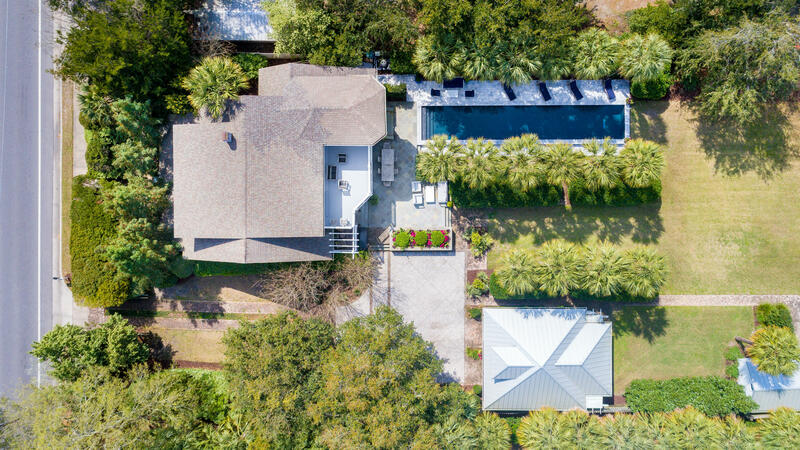 The property includes a 60 foot heated and cooled saltwater lap pool, custom garage building as well as a separate pool/Oyster house. 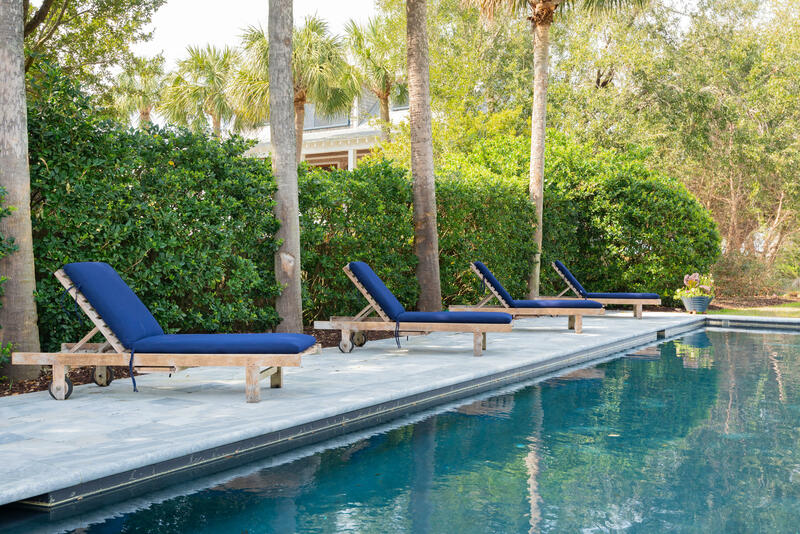 There is an elevated bluestone terrace with outdoor dining area that leads to the marble pool. 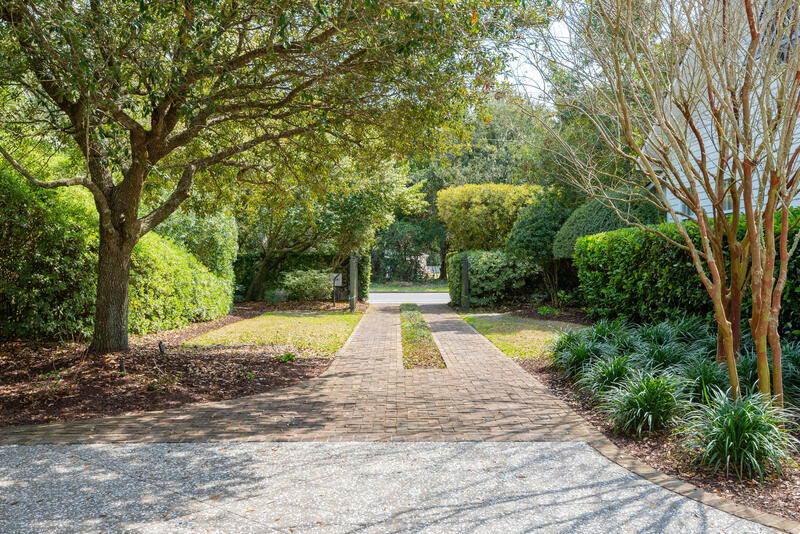 There are over 10,000 hand laid antique bricks throughout the gardens on this property. 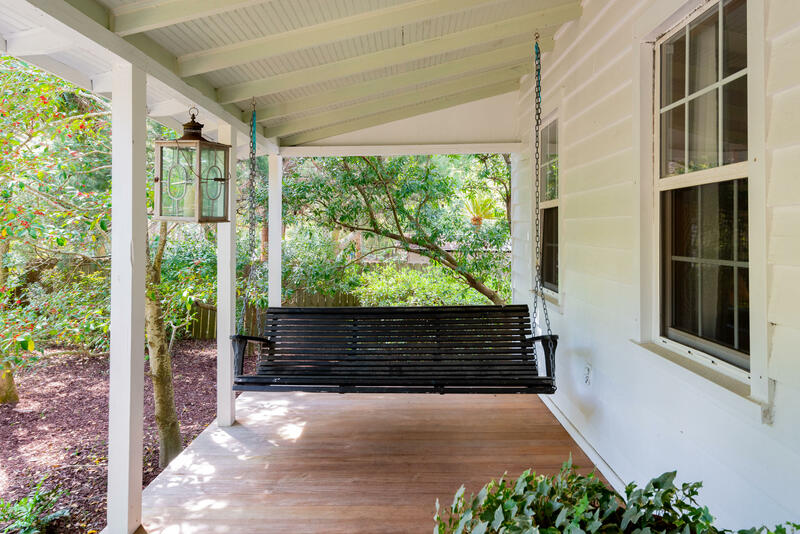 Both the front and back porch have new Ipe decking. 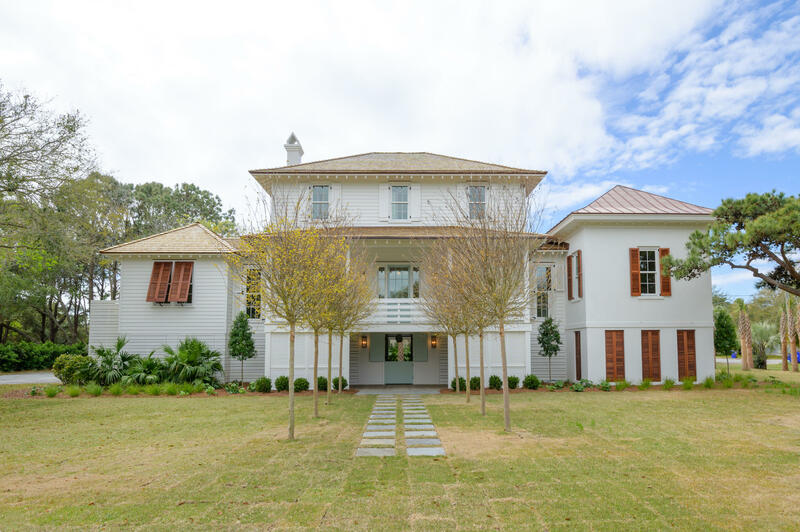 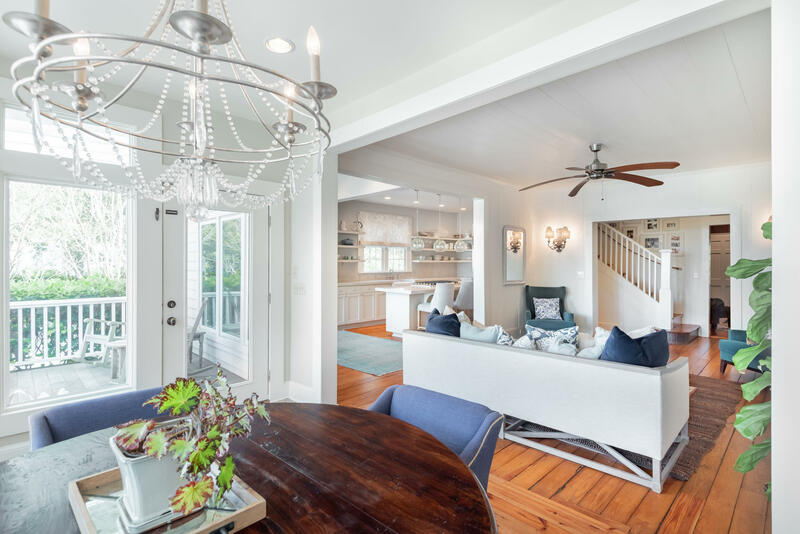 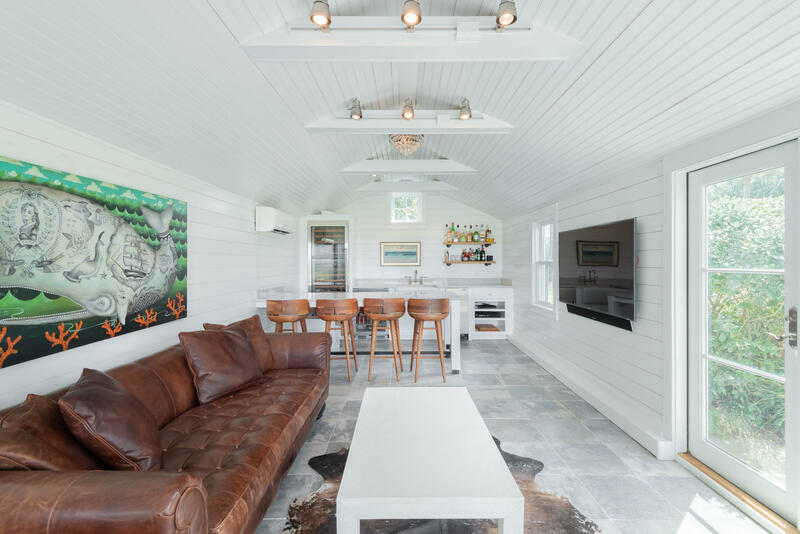 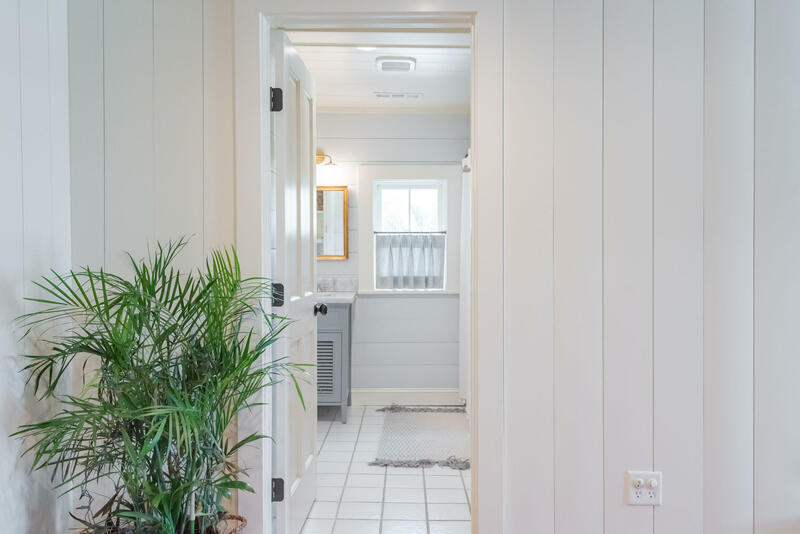 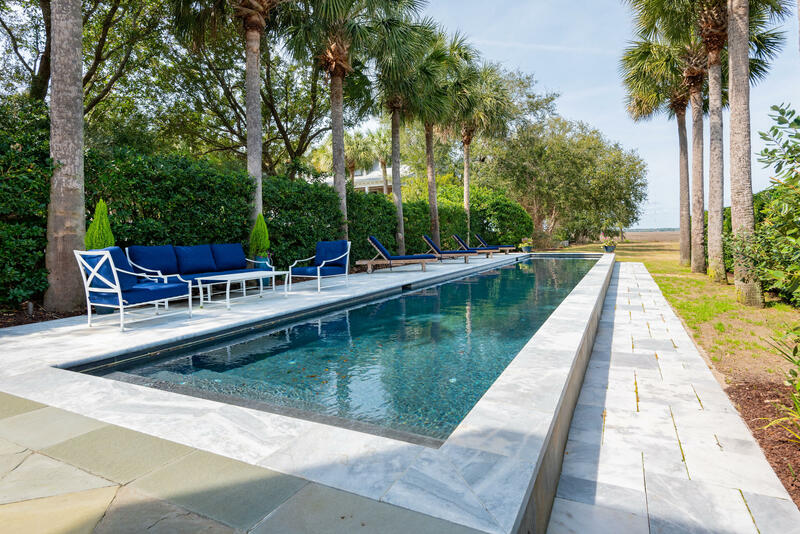 The high end pool house contains quartzite counters, marble flooring, shiplap/beadboard walls and ceilings as well as a four-pane folding door for true indoor/outdoor entertaining. 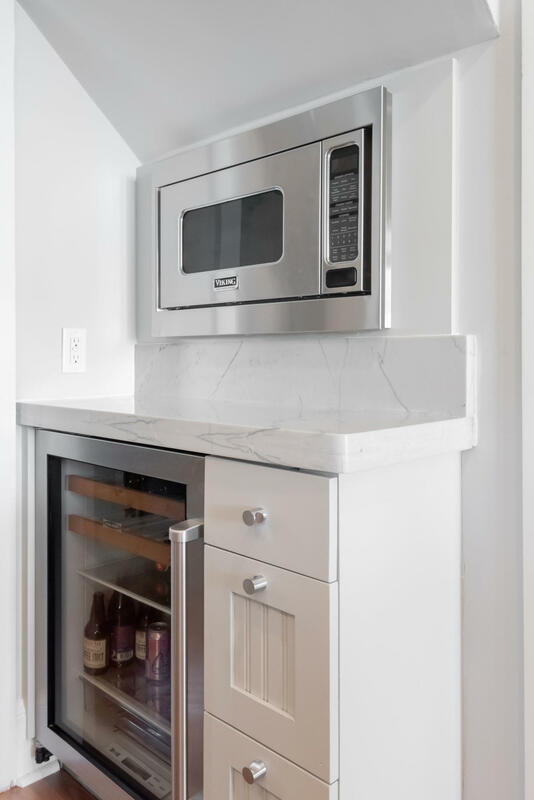 Sparing no detail, a sub-zero entertainment package including a full size wine fridge, beverage center and ice machine. 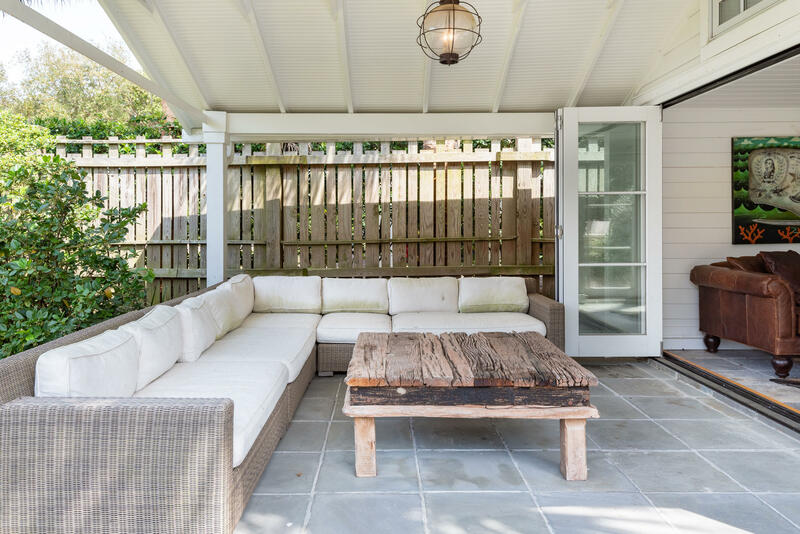 The bluestone patio includes a fire pit in the center as well as covered sitting area. 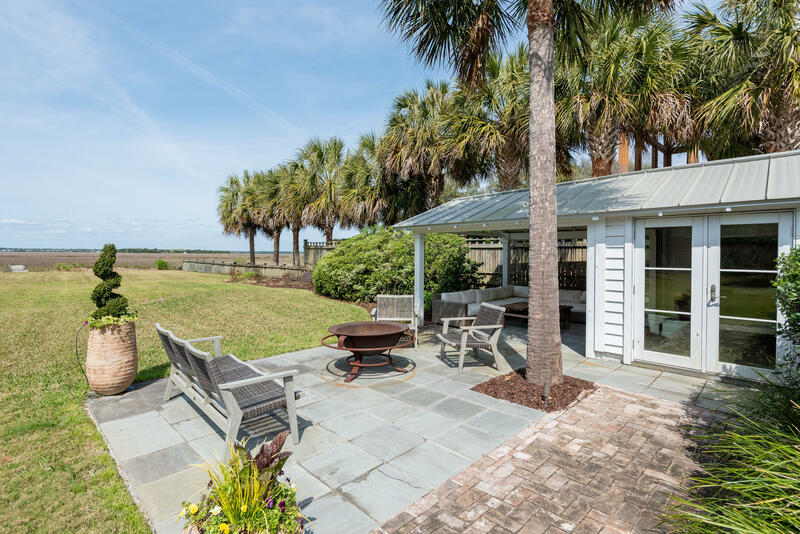 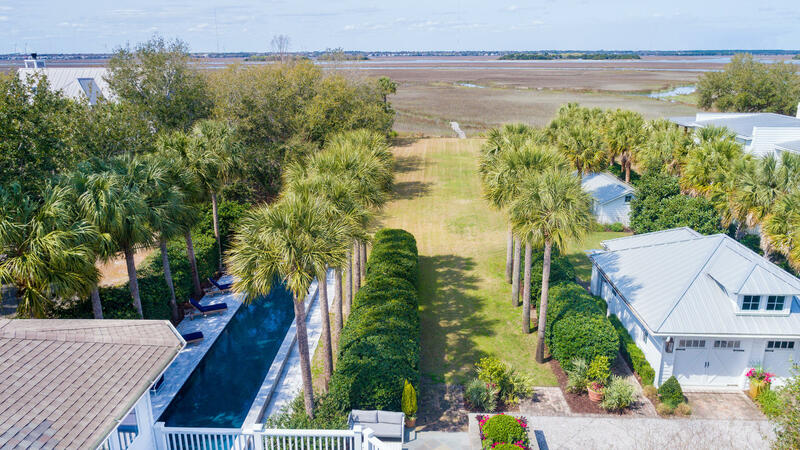 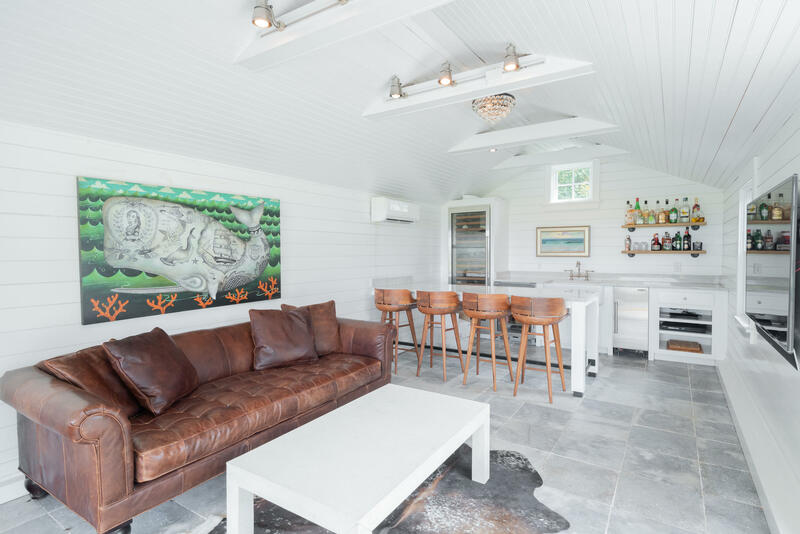 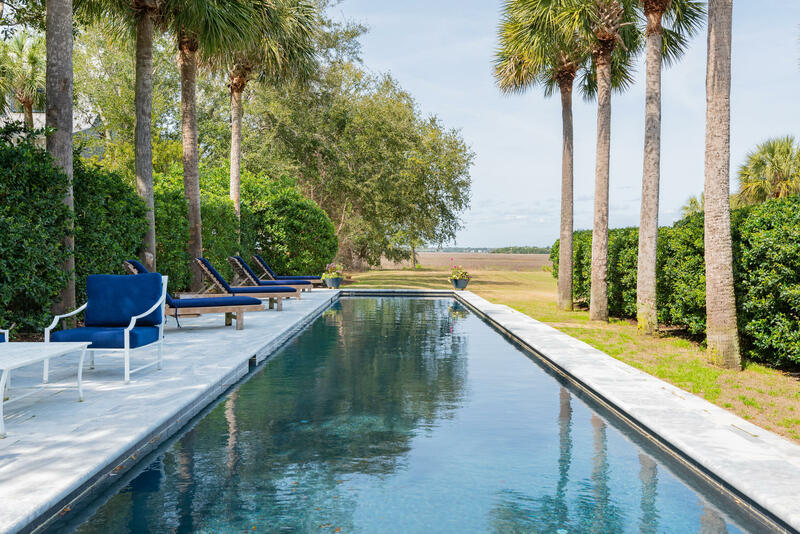 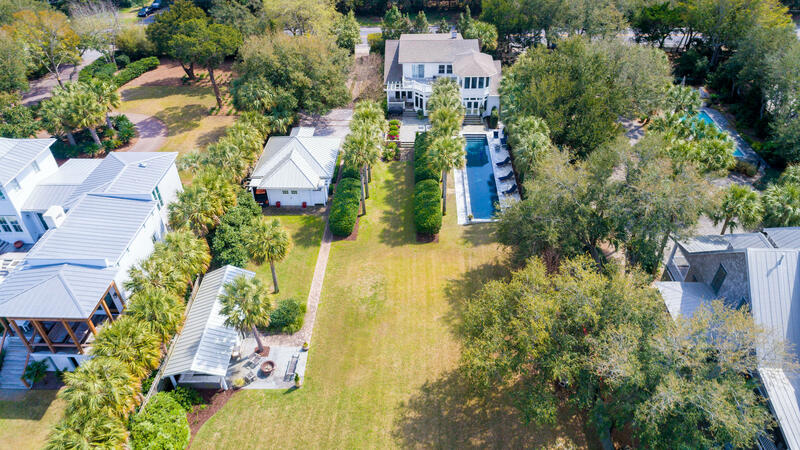 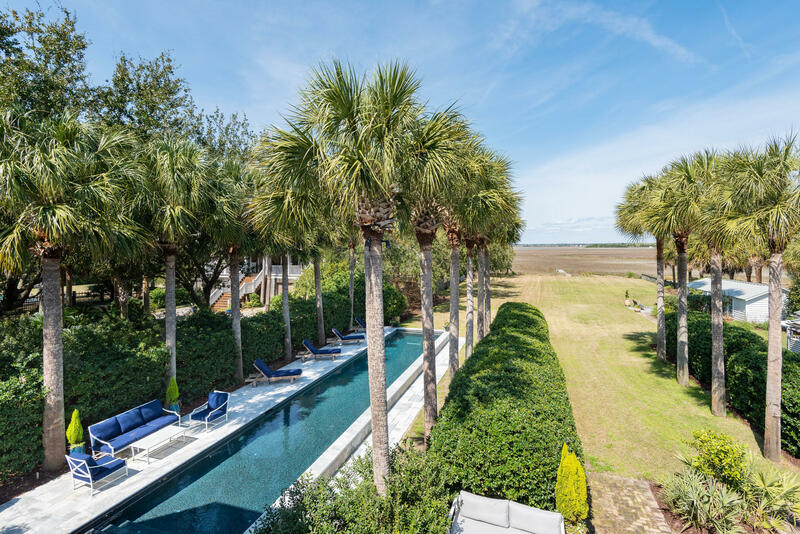 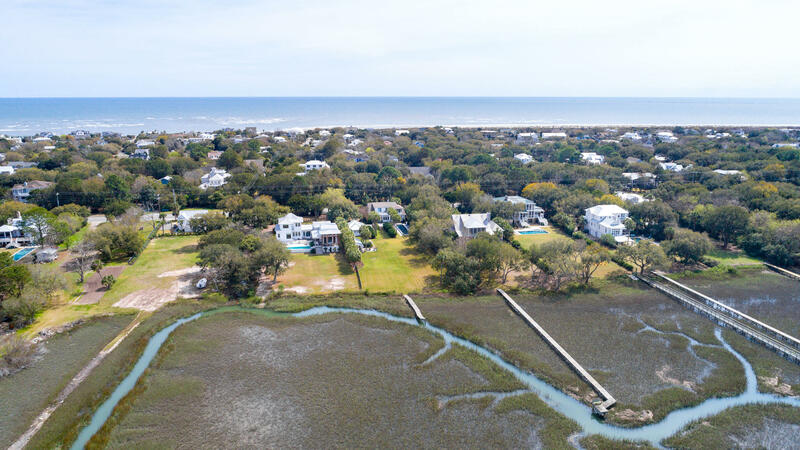 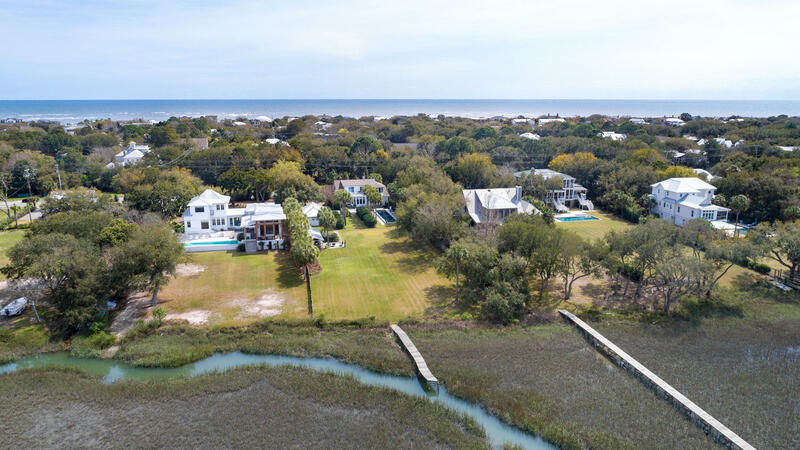 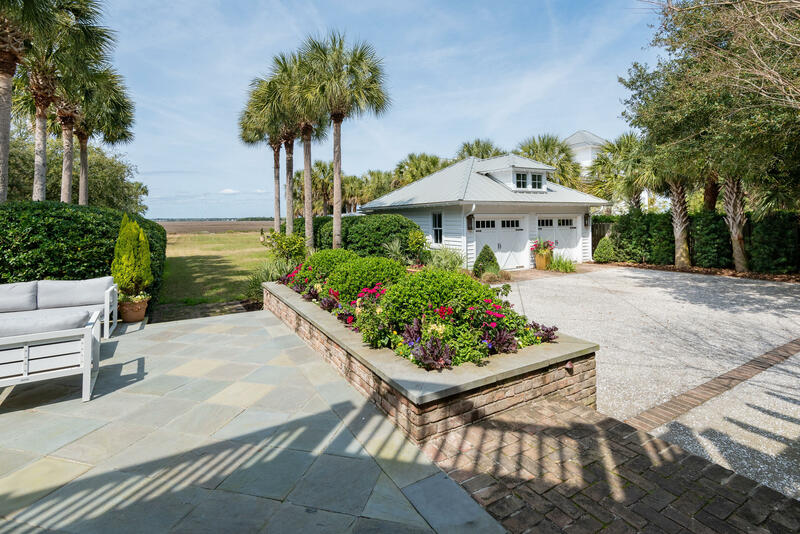 This is truly one of the most unique properties on Sullivans Island for outdoor entertaining. 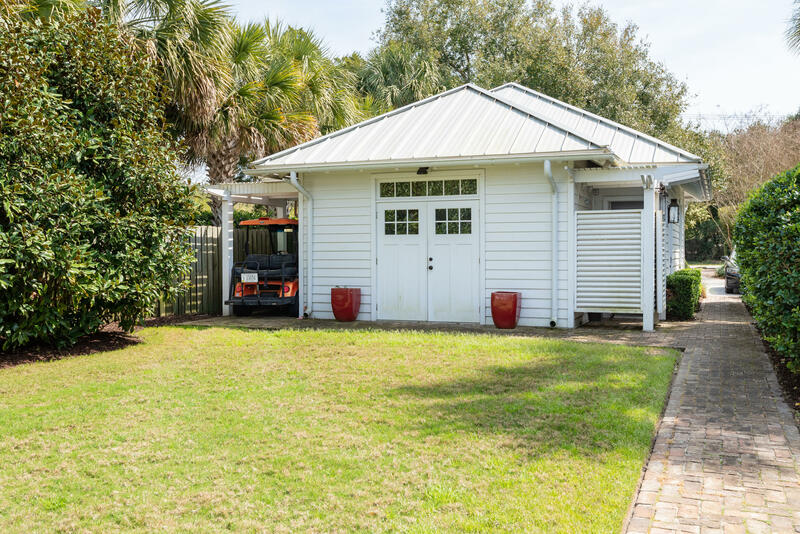 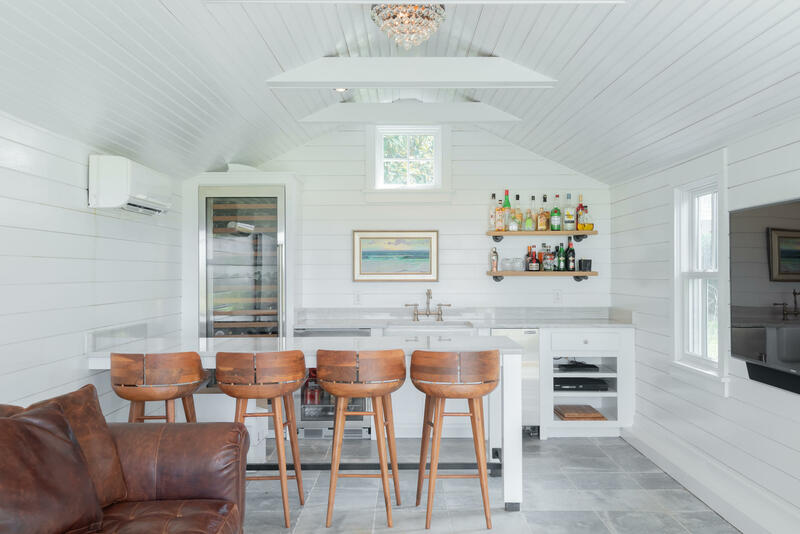 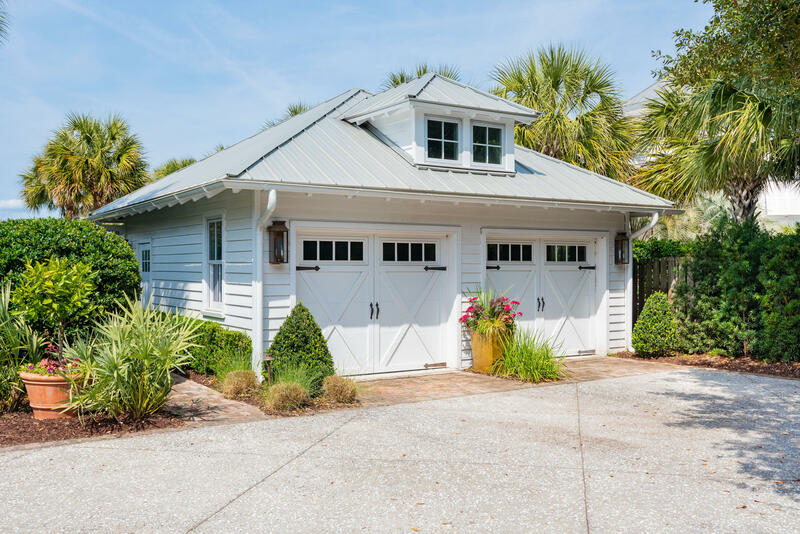 The garage building contains two oversize bays, separate storage room for beach gear and golf cart parking as well as integrated outdoor shower and sink area. 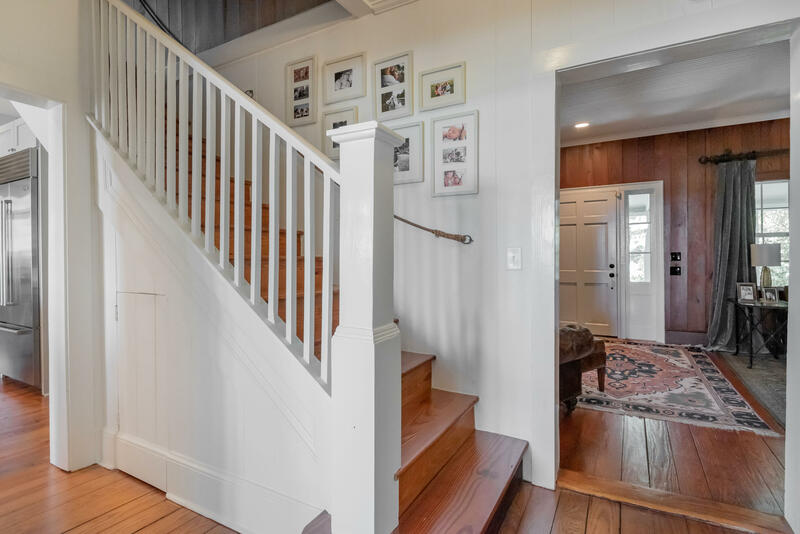 There is also a pull down staircase to access the vast storage space on the second story. 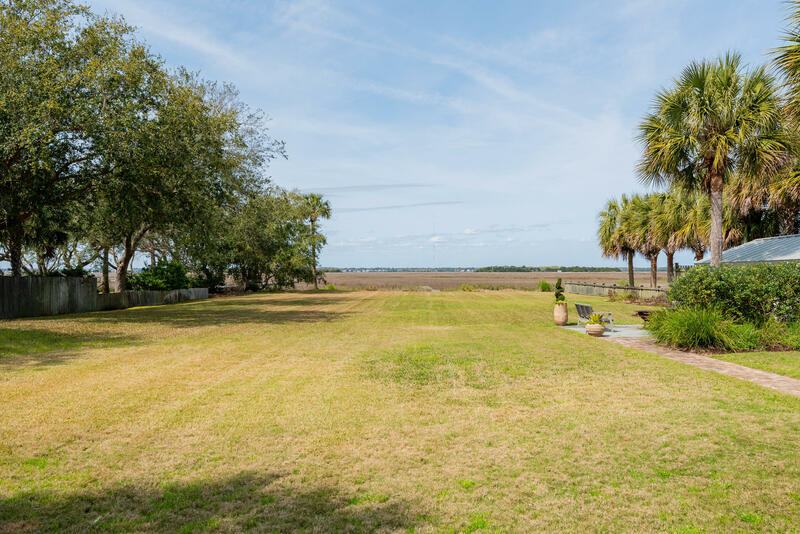 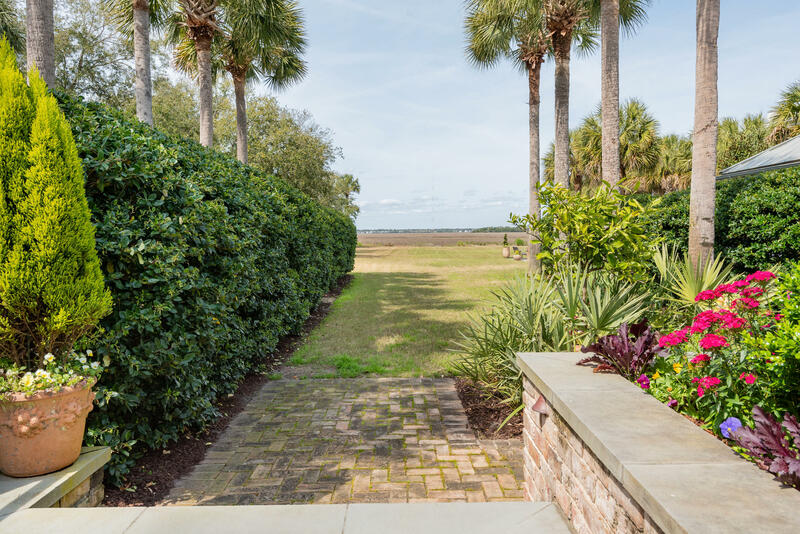 At the end of the large lawn there is a dock that goes to a tidal creek that is the perfect spot to enjoy the most spectacular sunsets. 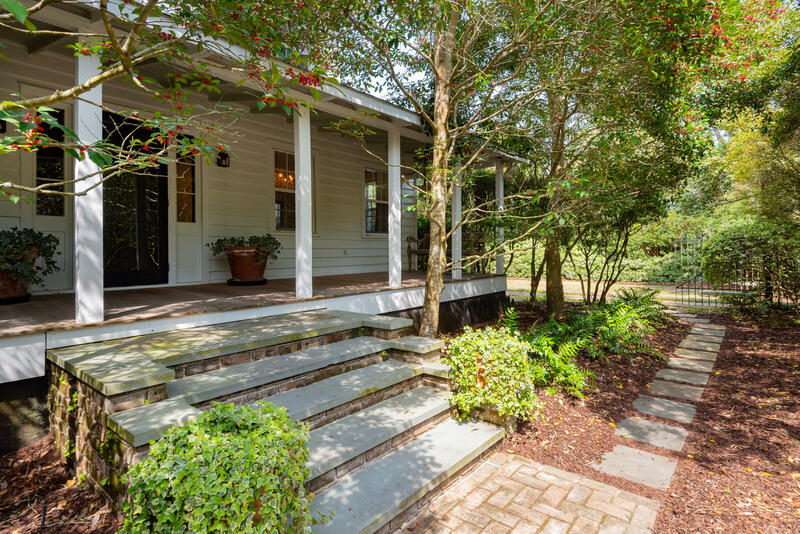 This is a must see if you are looking for a truly private retreat with historic and modern features. 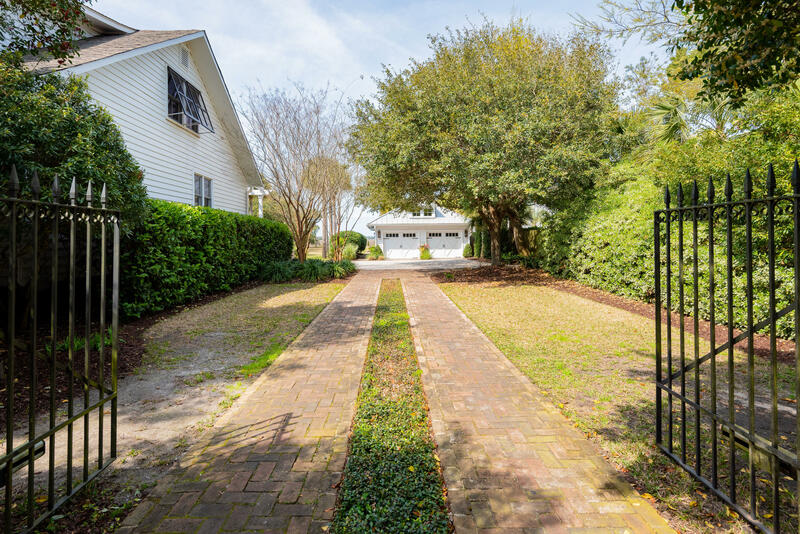 This fully gated and fenced property is an escape from the ordinary.